Looking backwards in time .. to a sunny day in June! Well, I really want to talk about my garden. 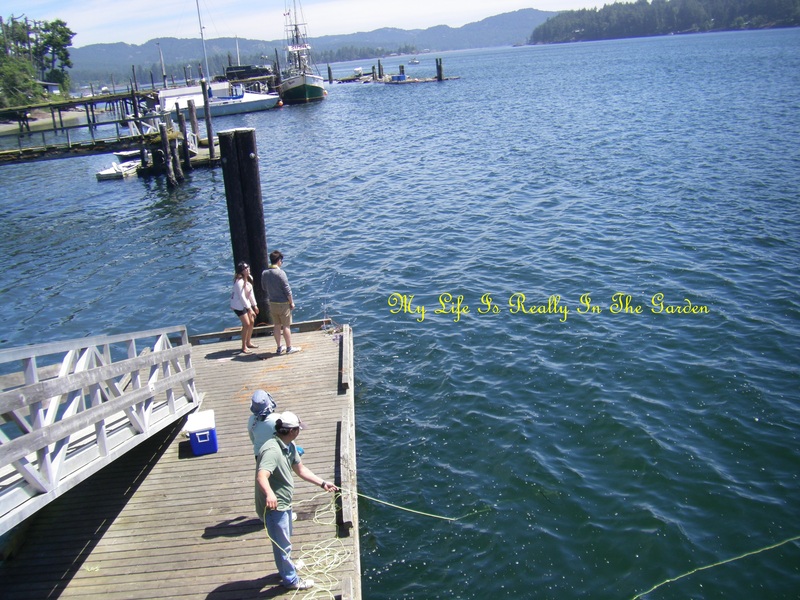 Started looking through my photos and perused some sunny days in June when D and I went seaweeding in Sooke. Our good friend R joined us in September, I think, and I have some good photos from that time and will post later. 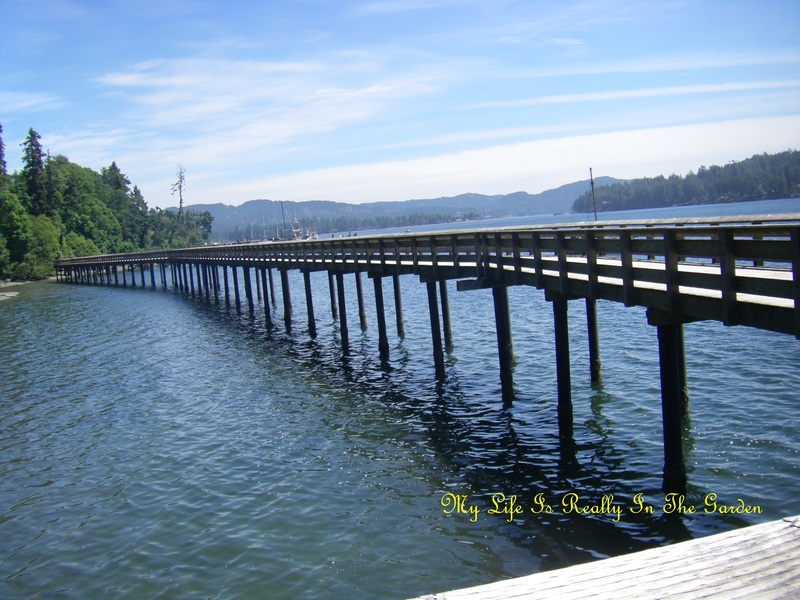 Anyway, it was a midweek day and D & I set off to Sooke. Looking forward to spending time on the beach, harvesting some seaweed for the garden. Breathe in the fresh air and just spend some time away from the reality of daily life. 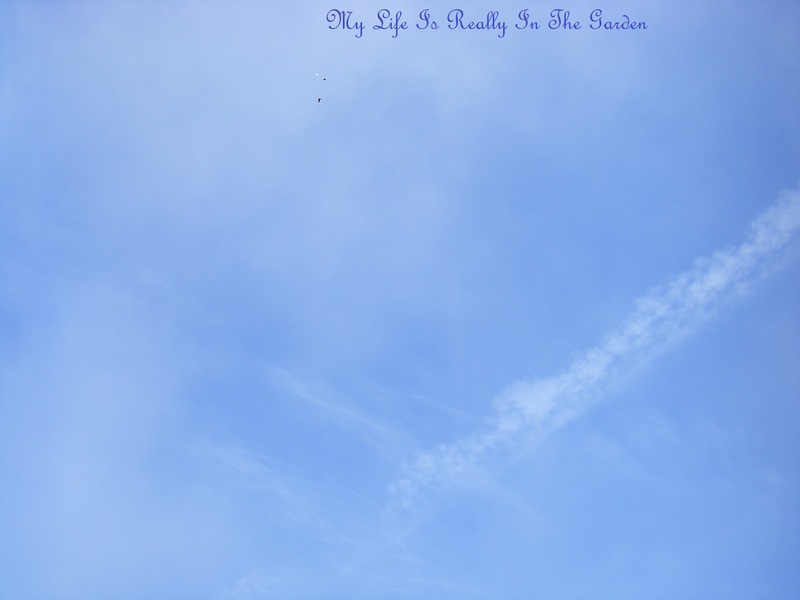 So, it was a sunny day, see this beautiful sky .. 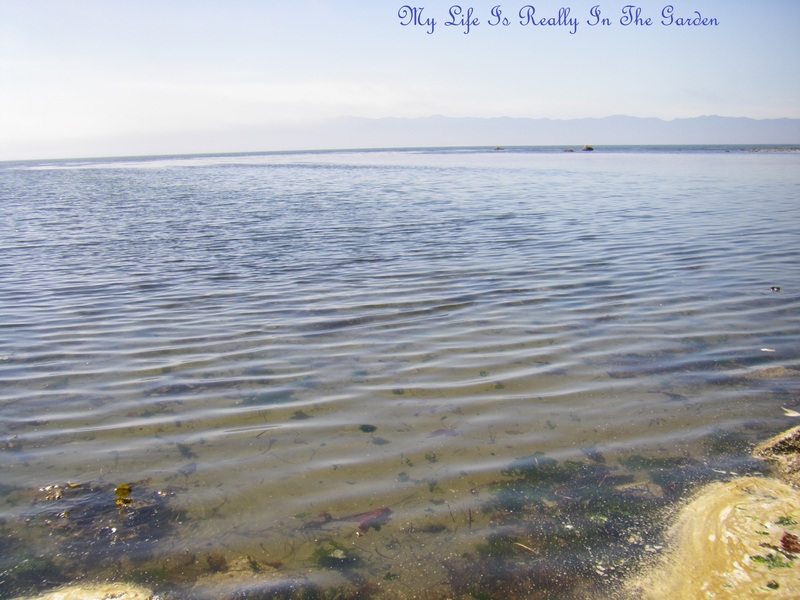 It was early in the day and the tide was way out there .. we could walk for miles along the shoreline .. see the seaweed covered rocks. Lots of sea lettuce. I’ve seen people just hacking away at these and stuffing huge bags full .. to use in restaurants. That is just so wrong. D & I, having taken seaweed courses, know that you just carefully trim a leaf from a plant, leaving the rest to continue growing on the rocks. 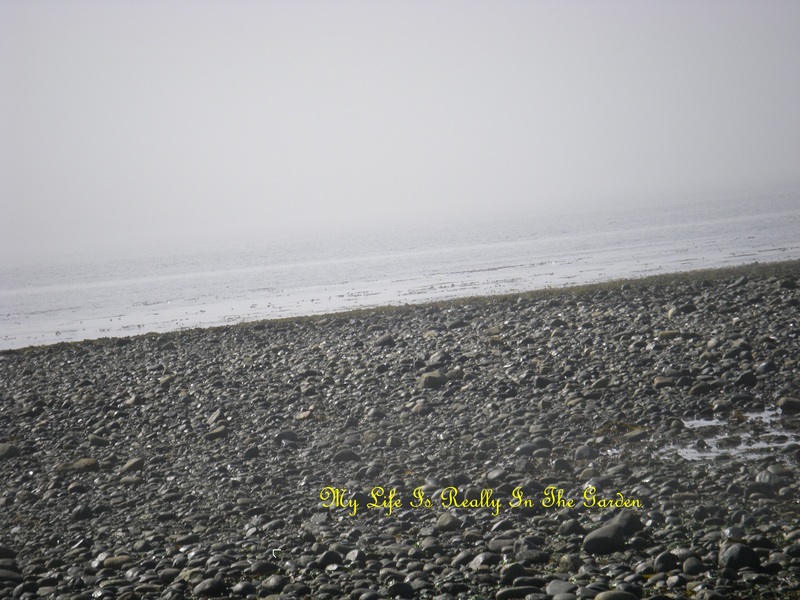 Such an eerie feeling, really .. to walk along these rocky shores that normally are full of water, too deep for me to ever enter when the tide is in. I am so grateful for this experience. Tide is coming in .. the hidden sea creatures can now escape their hiding places and cavort about in the salty brine of the ocean. 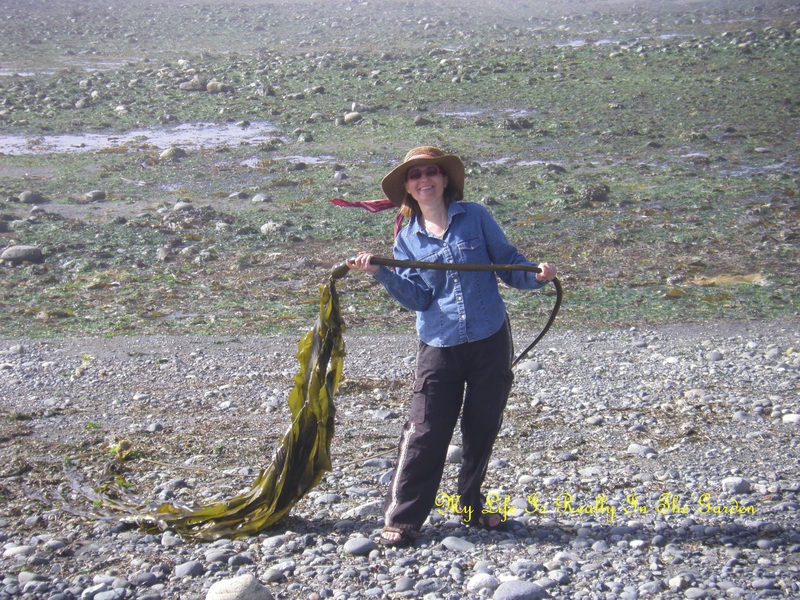 And here is D .. she’s found a lovely kelp, the fronds are still attached. The plant itself is ok to harvest, it is not still growing. Treasure indeed, my garlic thanks you. Yum yum .. says my lovely garlic .. more than 60 minerals in seaweed .. enriches the soil quality and adds taste to the garlic. 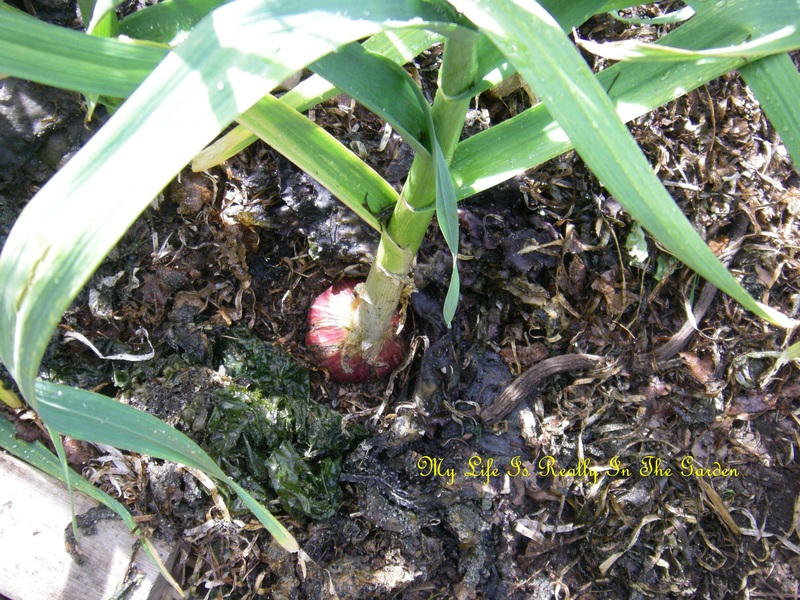 And the Elephant Garlic mumbles a gnarly thanks also … it is too busy growing to pay us much attention! And along the way we saw this happy family busy throwing their crab traps … they would carefully check the size of the crabs and any too small or too large would be cast back into the ocean. 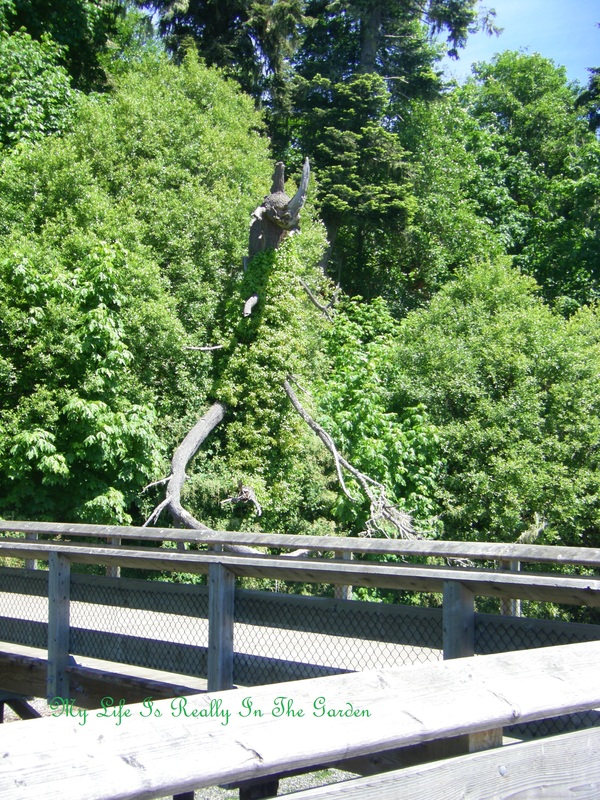 Don’t these branches remind you of a giant dinosaur or a monster of some type? 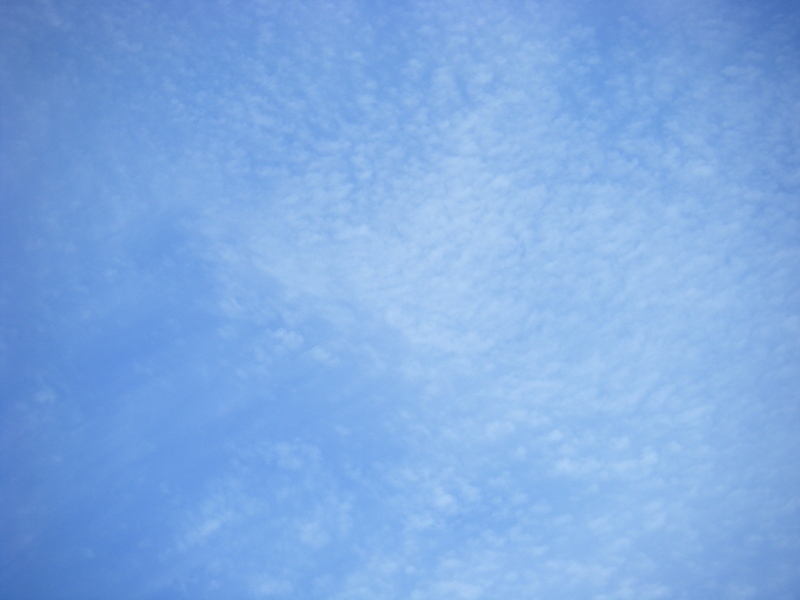 The beautiful blue skies continued overhead .. how lovely is this .. 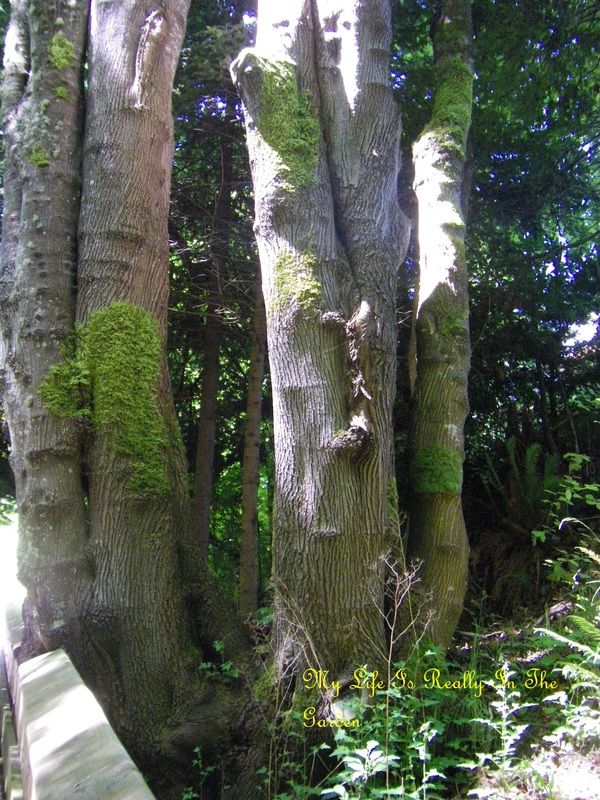 Saw some magnificent trees along the switch back walkway that led us down to the ocean .. strong, beautiful trees . Loving the contrast of light and shadow. The Yin and the Yang. The Positive and the Negative. Balance in all things. Too much of one is boring, but a subtle mix is seductive and interesting, non? A last look at the shoreline .. and it was nearly time to leave. 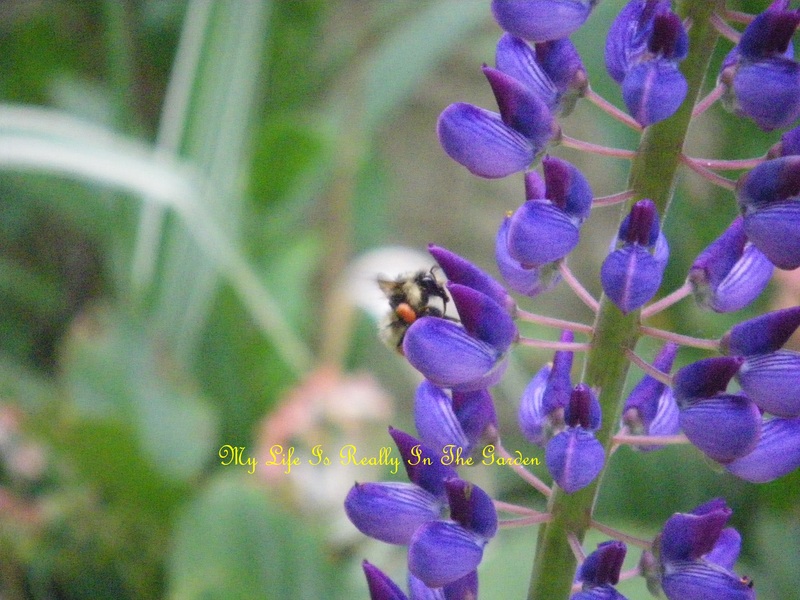 Back home, in between unloading the seaweed and moving to the back yard, I just had to stop and admire busy bees cavorting in the lupines. 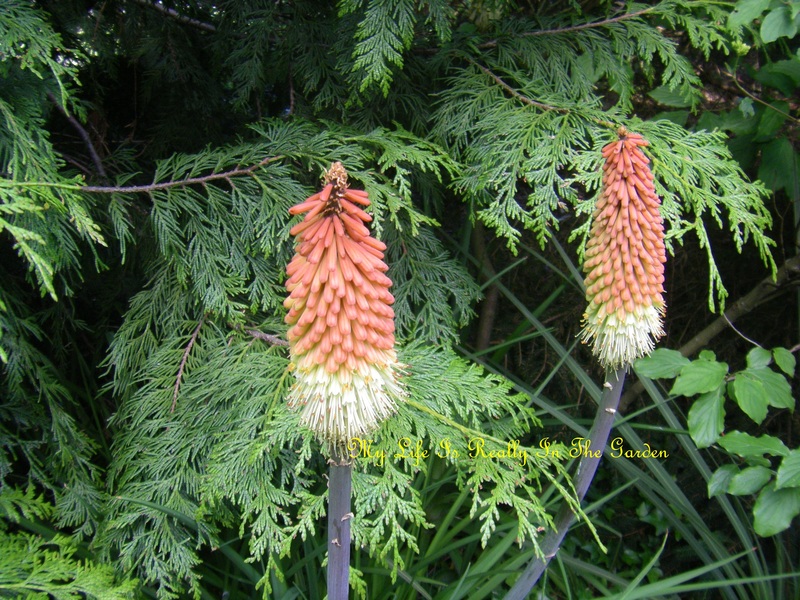 And the red-hot poker plants … the birds and insects love these blooms. Sigh .. that was a lovely visit back to June .. especially in this winter. Although, the weather in Victoria, BC today was sunny, there was some chill, but not much. So we can’t complain. And must not boast, you know. But we all do enjoy this lovely weather. And I, for one, just plain dream of next spring and summer. 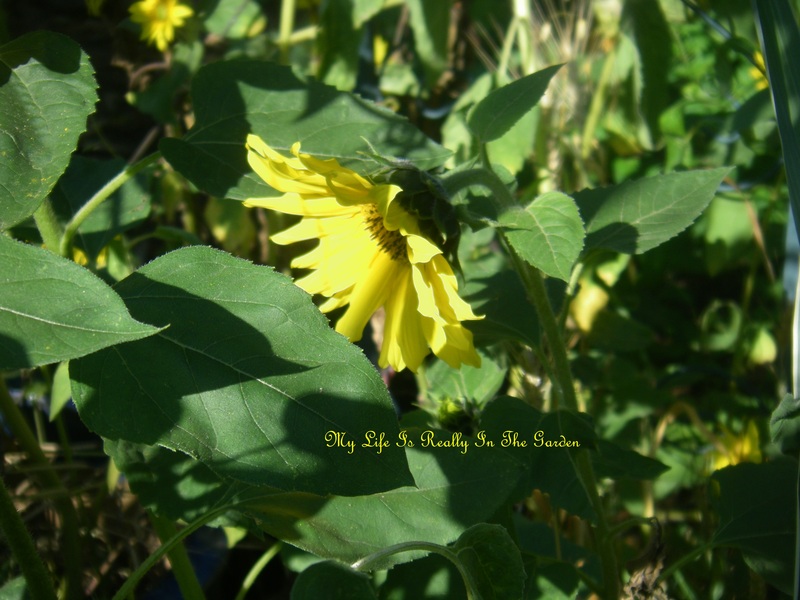 Categories: Gardening | Tags: Elephant Garlic, food, Garlic, Produce, Seaweed, Shopping, Sooke, Sooke British Columbia, sunny days | Permalink. We certainly have a mix of weather here in Victoria! Yesterday started out overcast as I busily filled my car with just an amazing amount of recycling items and headed off to the local Bottle Depot!. Despite all items having been carefully rinsed beforehand .. once I’d loaded them onto the wheeled cart at the Depot… I noticed several hornets buzzing around to investigate my bottles and tins. I tell you that I’ve never pushed a fully loaded cart up the cement ramp so fast! Just racing to get inside and once there, the hornets had decided to leave. Sheesh, anyway! Back home, I decided to just go for a little walk to pick some blackberries … just enough to make a pie for my DH when he comes home from work. 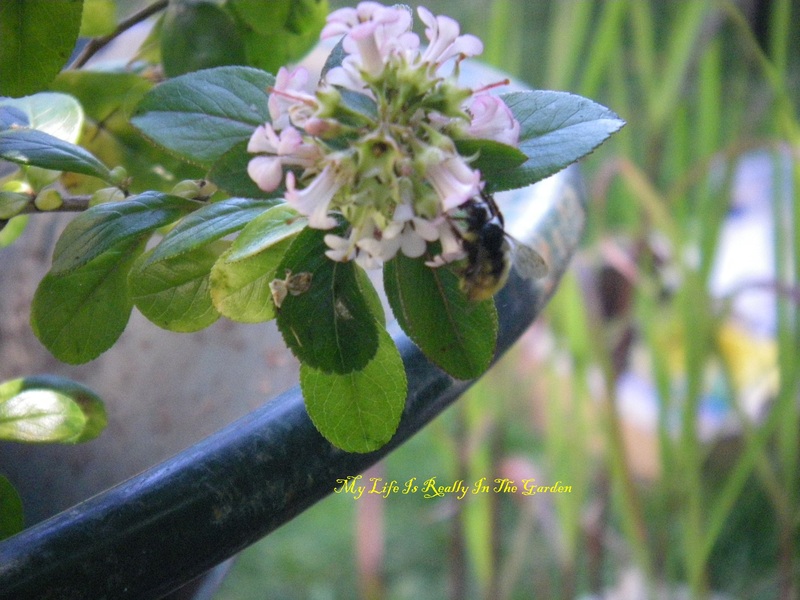 The big fat berries were way out of my reach and I had to avoid some busy hornets/wasps that were hungrily gorging on the fat juicy berries .. so I contented myself with gathering about 2 cups worth of berries … that’s enough .. I’ll mix them with apples for a one-crust pie. So spritely and teeny-tiny … there are a number of them in the yard, very busy munching on insects so the birdseed is a treat for them to enjoy. 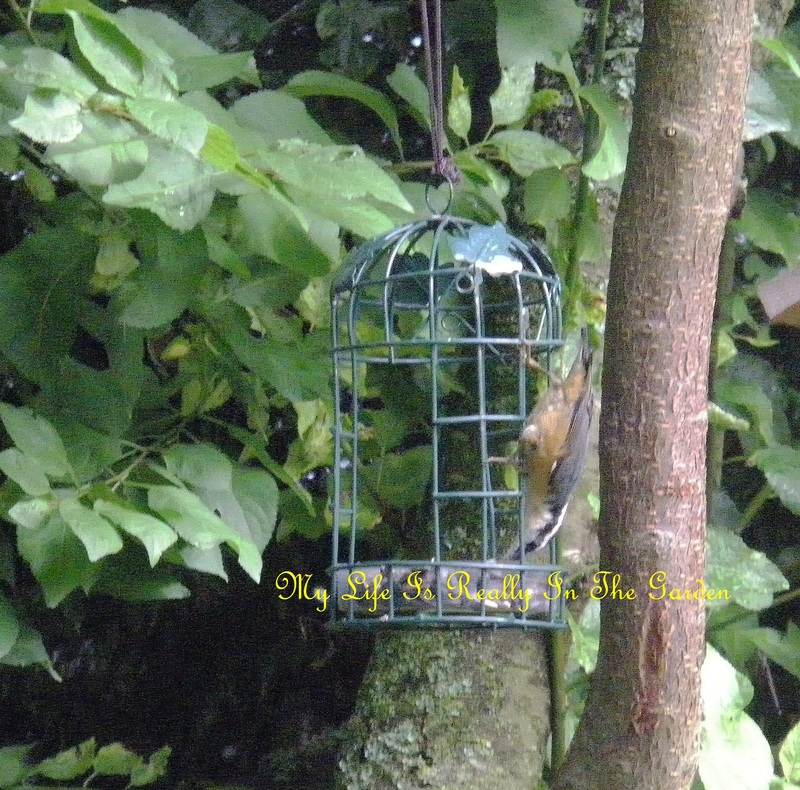 The Hummingbird feeders have all been cleaned and refilled … and they pass inspection! The Anna’s are very particular and require clean feeders so I do my part at taking care of them. 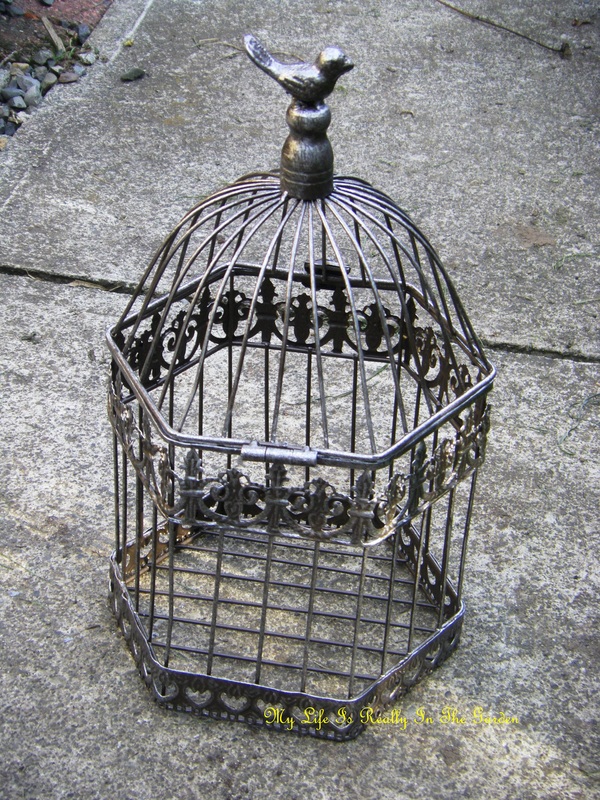 One of my recent acquisitions from a consignment shop in Port Alberni .. a friend suggested a plant would look good in this .. a great idea and I’ll do this. The top hinges open for easy access. 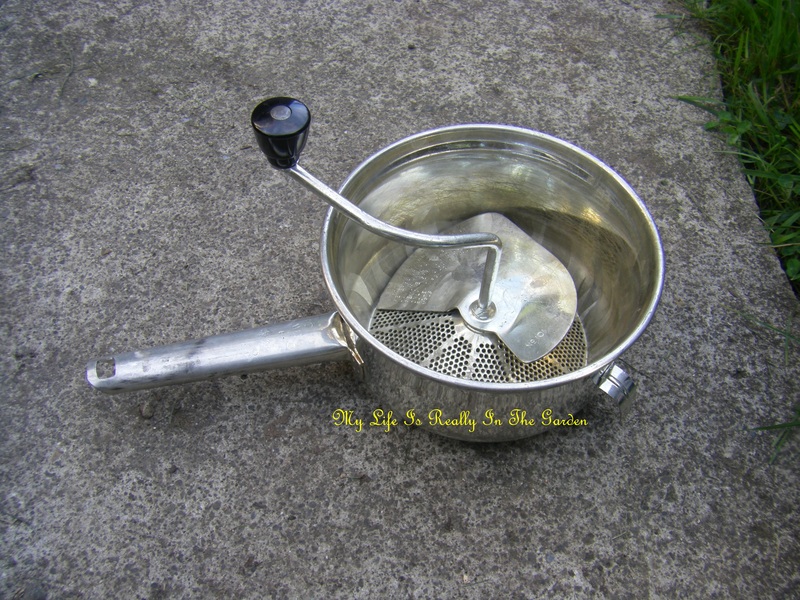 Found this little gem at the SPCA thrift shop in Port Alberni … great for making applesauce! Coincidentally enough, on the same shopping day, in another thrift shop .. I found this treasure, brand new and the receipt inside! I might try grinding up some dry seaweed in this one. The proprietor of this shop was the most amazing lady. 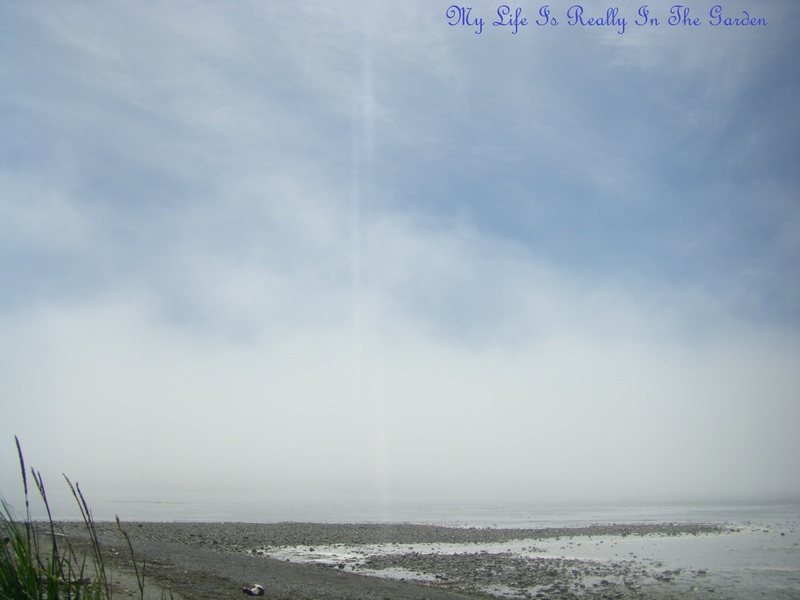 She and hubby live on acreage in Port Alberni. They have masses of dogs and cats and chickens. Oh, the funny stories she told me .. .I was so happy that I went shopping there and look forward to returning! 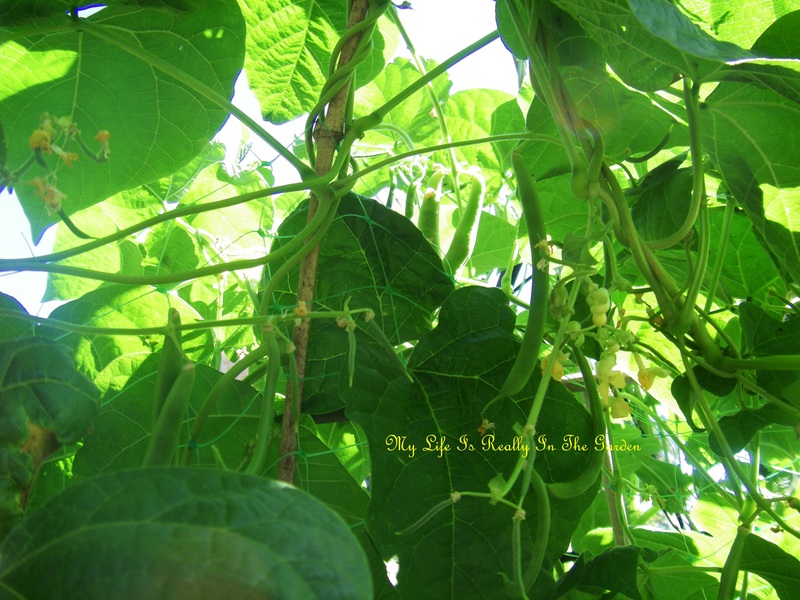 My crop of Kentucky Wonder Beans … I’m waiting for the beans to rattle in the pods so I can harvest them for drying. Some for soup and some for next year’s crop! 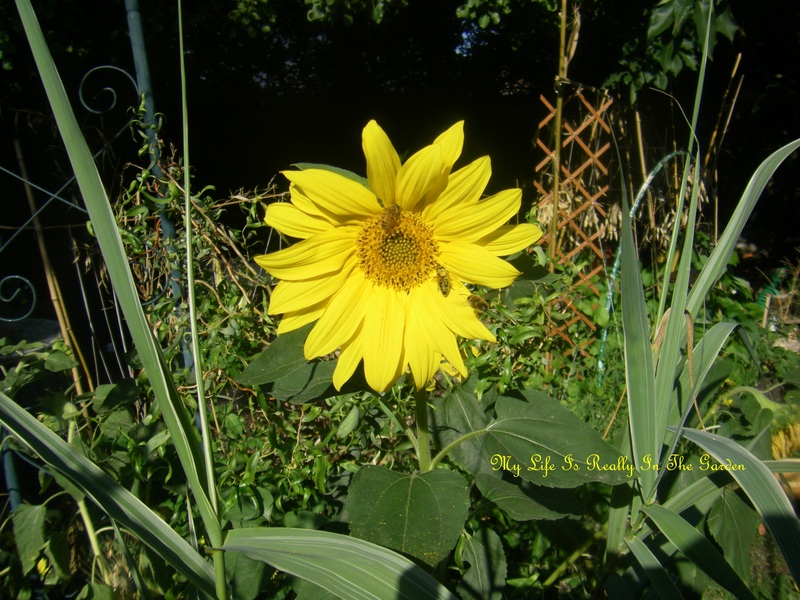 Gentle sunflowers at the end of the day .. getting ready for a night full of sunflower dreams … sleep well…. 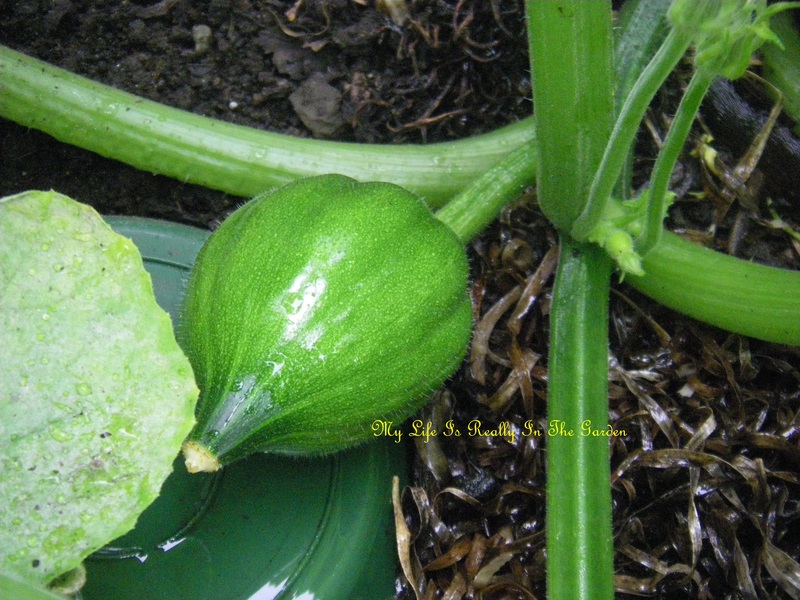 My one little acorn squash is growing quite well …yum yum!! 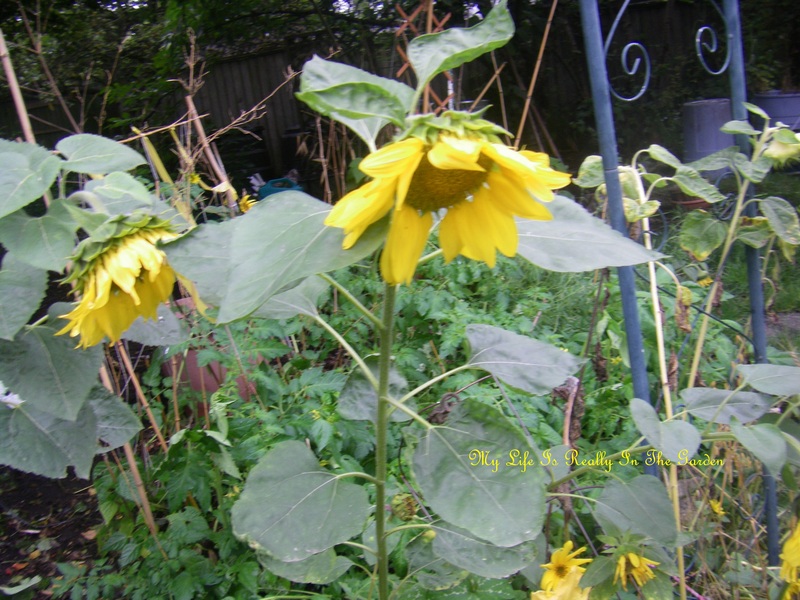 I’m so glad that people share their garden lessons so we can all learn .. so very helpful. Than I decided to go and search how to save strawberry seeds. Well .. I certainly learned a lot about that!! As my knowledge about growing healthy plants increases, so too does my awareness of the preciousness of heirloom fruits and veggies. Afterwards, I went looking for information on potatoes. Oh, well .. that is quite another story for another day! On y va!!! A new day commences and I need to go for a little walk! 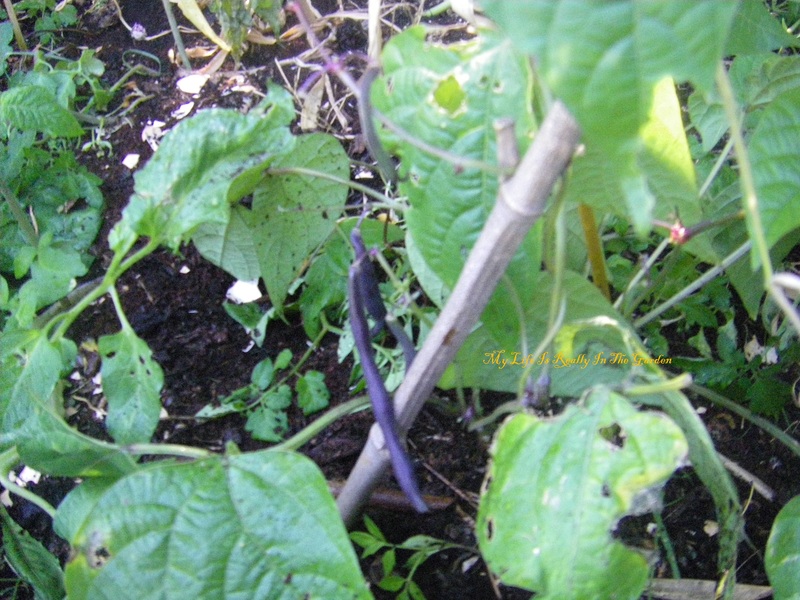 Categories: Gardening | Tags: Alberni Valley, B.C., Bean, food, nature, plants, Port Alberni, SPCA, Victoria | Permalink. Today is starting off in a fog. Not for me, mind you, I’m as sharp as I can be on a Saturday morning. Sipping away at my second mug of Yorkshire Tea. Kitties (they are all grown up, but, to me they will always remain kitties) are fed, treats given … their day is well started. The world outside my windows is in a foggy state. Two days in a row now. Soon the sun will shine through and I will be outside playing in the yard. Rains are destined to start tomorrow. Guess that means summer is over? However, I seem to recall from previous years that there will still be days of sun .. and for that I am thankful, or rather, my tomatoes, squash etc. will be grateful. Oh, and the beans, mustn’t forget about them. 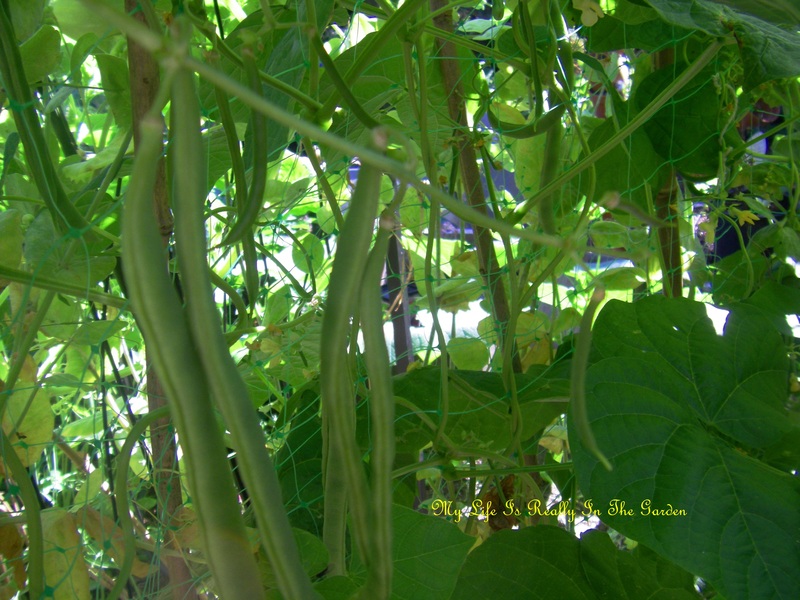 My marvellous crop of Kentucky Wonder Beans are doing so well this year. Last year, I’d left the package outside and it rained .. and they sprouted .. and then I planted them in the shade. So much to learn about veggie gardening. I’m making progress. Decided to grow the easy veggies: squash, lettuce, beans, peas, tomatoes (well, still learning about them). And my absolute favourites – garlic and shallots. And although my experiment with growing potatoes in bags didn’t work out for me this year ..I will try again next year with another system. Despite a very late start to the growing season … I’m happy with what my garden has given me. 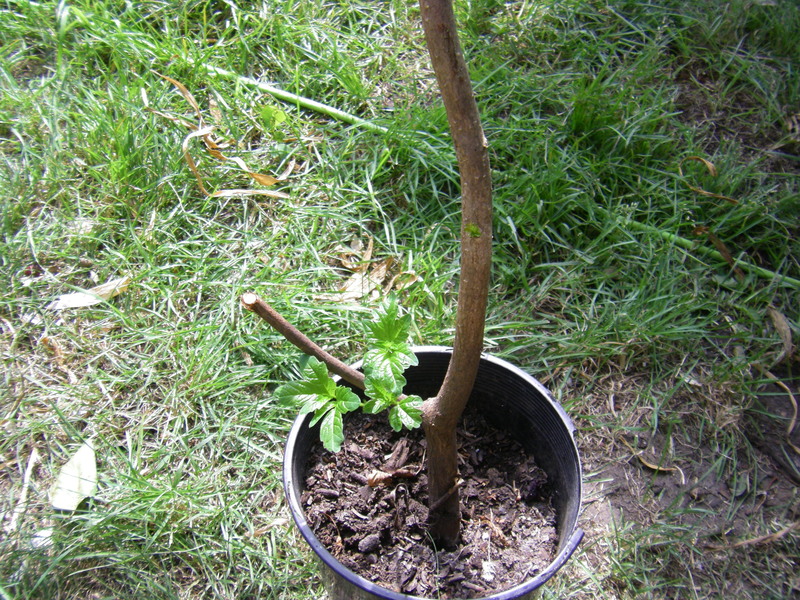 Anyway, my KWB’s grow like crazy … spiraling ever higher! 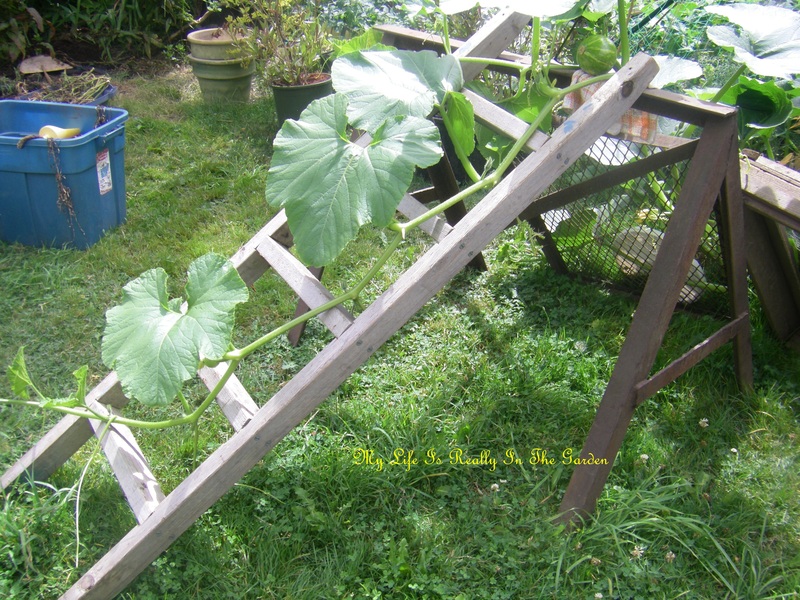 I had grown some in pots and trained them up trellis up high onto my sundeck. And learned yet another lesson. How easy is it to gather the beans from this high? First of all, I need a ladder set securely on the ground to reach halfway. 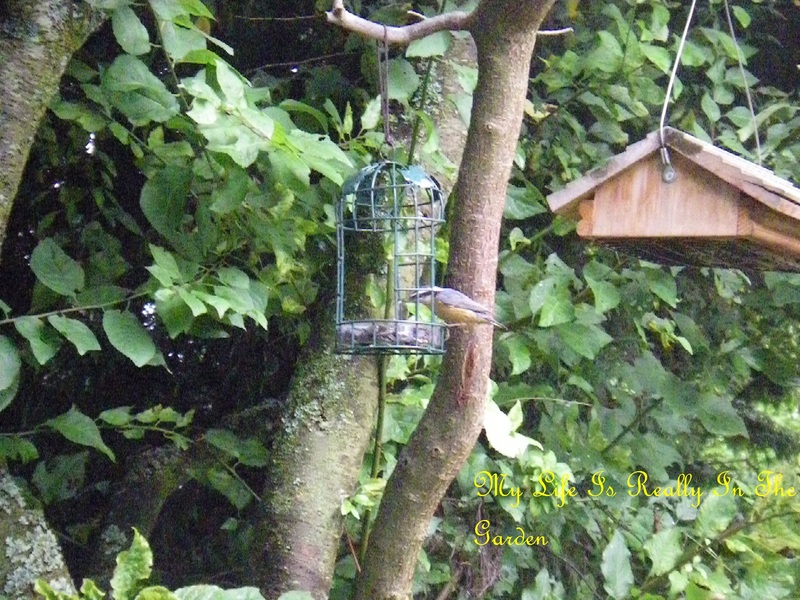 Then when I go up to the decking, I am only able to reach down and gather a few. So think next year I might just grow decorative vines in this area and will leave the beans to flourish on a much better type of structure. Speaking of garden structure! 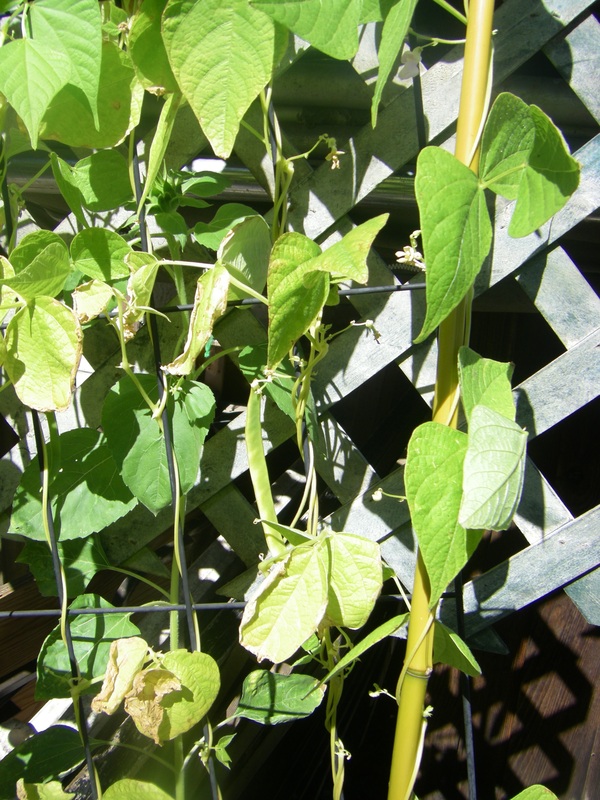 I wasn’t really prepared for the extravagant growth of my beans so have been making makeshift forms for them to grow on, adding bamboo stakes, garden trellis, a real mish mash. I’ve taken photos, just for me to chuckle over during the winter months. And I met this most lovely dog. Isn’t he handsome? 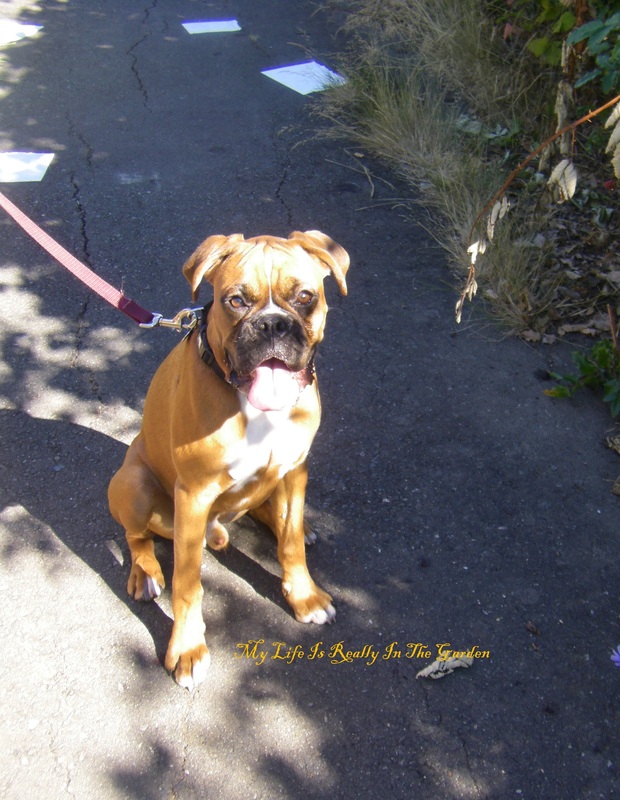 I also had a nice chat with his doggy-mom about making blackberry jelly, using apples for the pectin source. You see, I was picking blackberries on that morning. And my first reward was meeting this great dog! 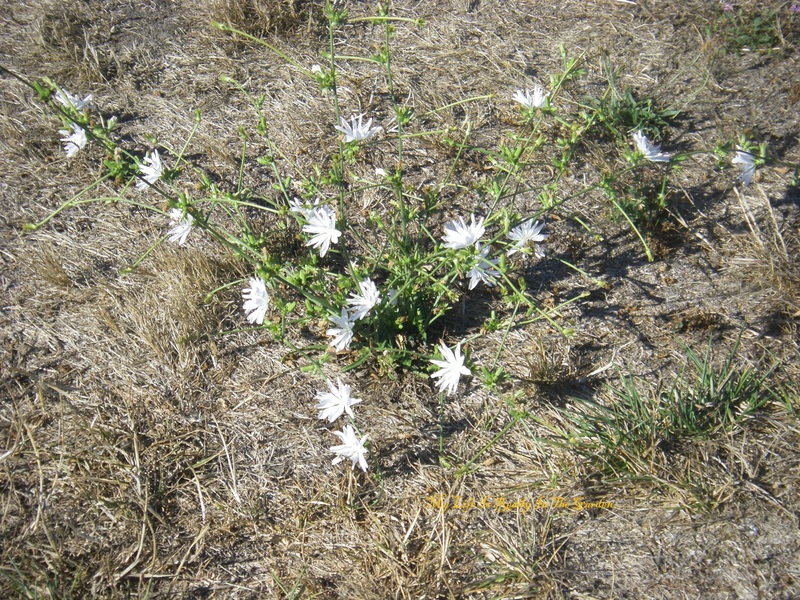 Another reward for my walk was seeing random wild flowers, growing and blooming, despite the dry weather conditions. The bees love them. 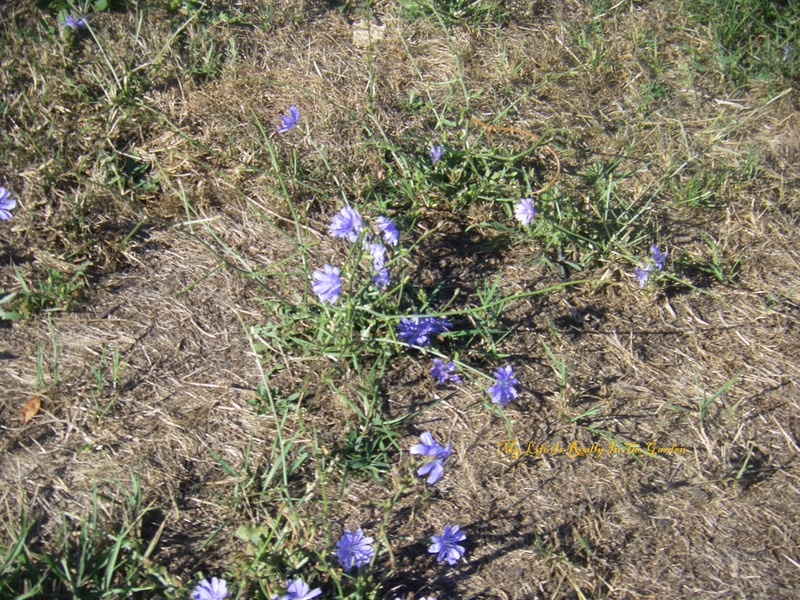 And these cornflowers brighten up the area also …. random beauty, free growing plants, uncontrolled by any gardener, except for good ole Mother Nature! 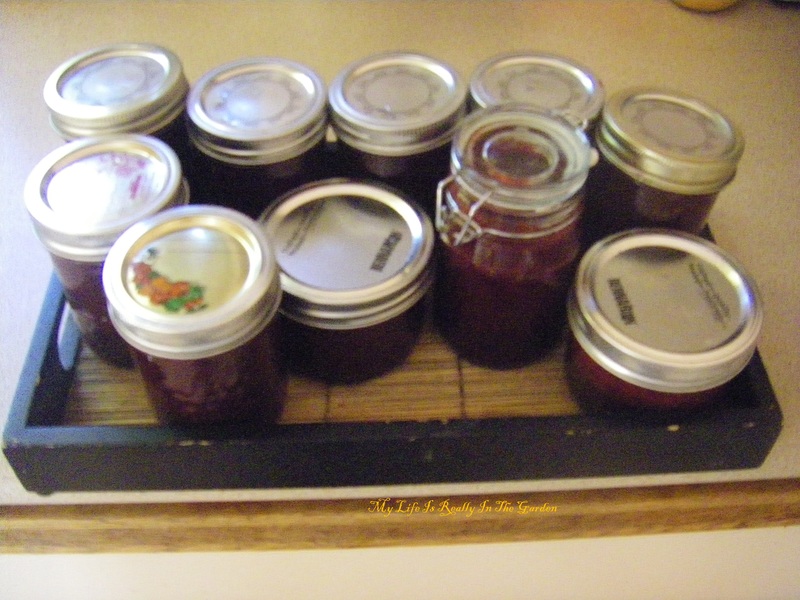 Here are some jars of blackberry juice from my first blackberry pickings. Now in the freezer. Yum. 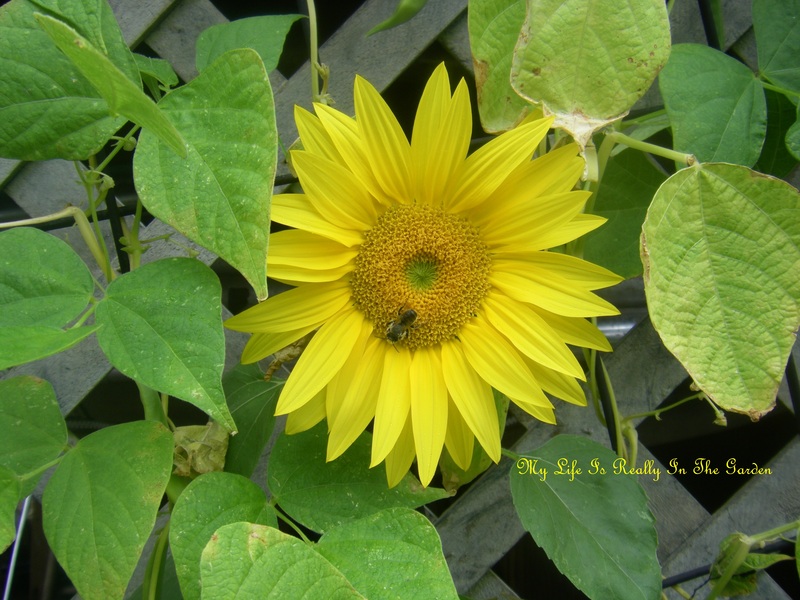 As always, loving the diversity of sunflower shapes in my back yard. Always spreading cheer and beauty. Thank you .. my lovelies. Enjoying this day and ready to change into my gardening outfit … lovely worn Carhartt bibs and long-sleeved tee-shirt, gumboots, gloves (which I rarely wear) and sun cap. OH .. wait .. I need to brew more tea so I can start my gardening day with a walkabout and admiration of all that is growing in our little paradise. More on that later. Time to watch the birdies also. The lovely Chestnut-backed Chickadees, the Red-chested Nuthatches, the Anna’s, the Fox Sparrows, some house sparrows. Wrens also. The Robins seem to have disappeared right now … wonder where they have gone? Bet I’ll find them when I start moving the compost around, though! They love those big earthworms. 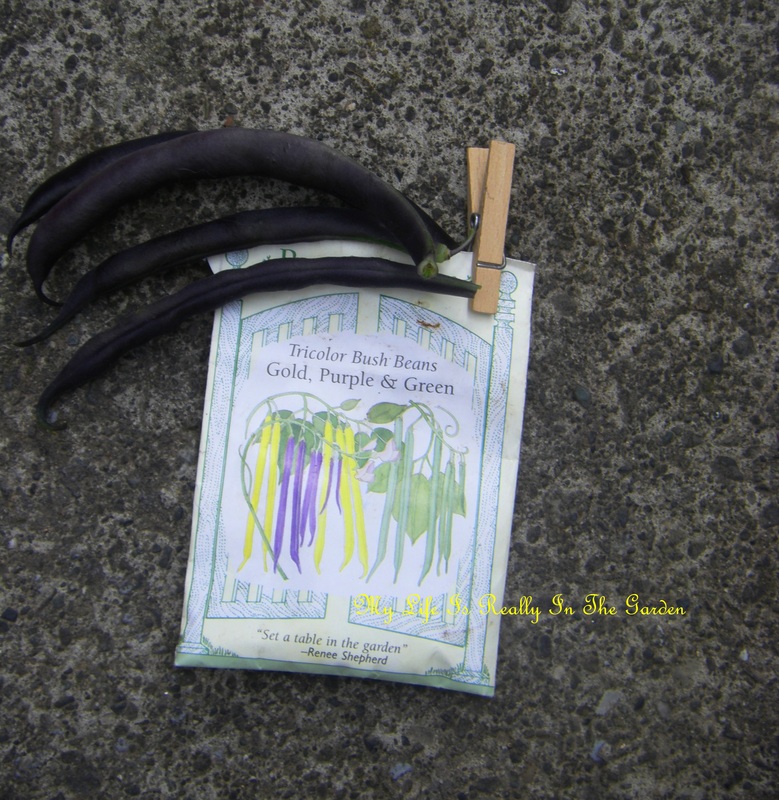 Categories: Gardening | Tags: Bean, Blackberry, Carhartt, food, Garden, growing potatoes, Home, Kentucky, kentucky wonder, nature, Plant, plants, Robins, Yorkshire Tea | Permalink. Next year, I vow (again) I will have an improved veggie garden. I’m learning (quickly) my strengths and weaknesses in growing vegetables. My pal D has a definite green thumb. She can grow tomatoes like there is no tomorrow, harvesting hundreds of tomatoes from several plants. She even gave me 2 healthy specimens for my garden. Alas, I have not harvested as many as she has. She nurtures the plants, carefully watering them, turning them daily to ensure they receive enough sunlight. I, on the other hand, do water them but not as carefully. 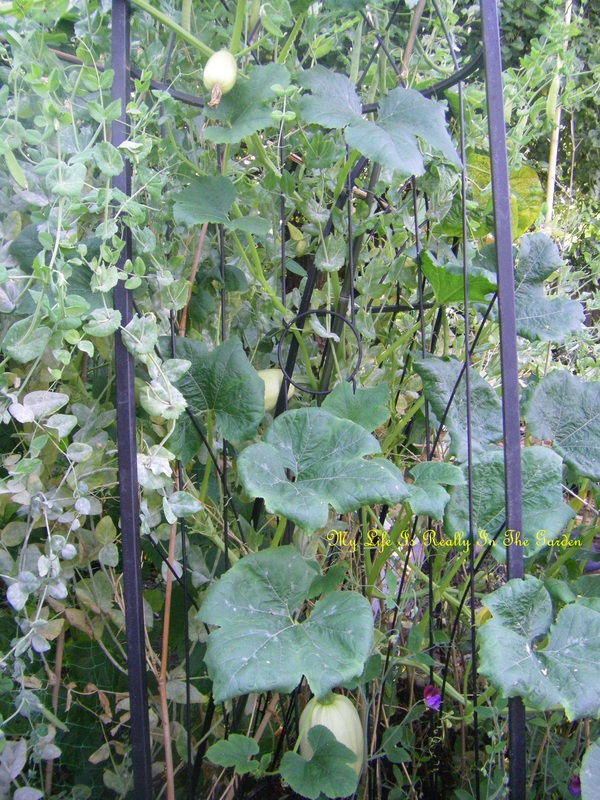 And the squash tendrils (from the container squash plants) have quite grown through the tomatoes so that I cannot easily turn the pots. 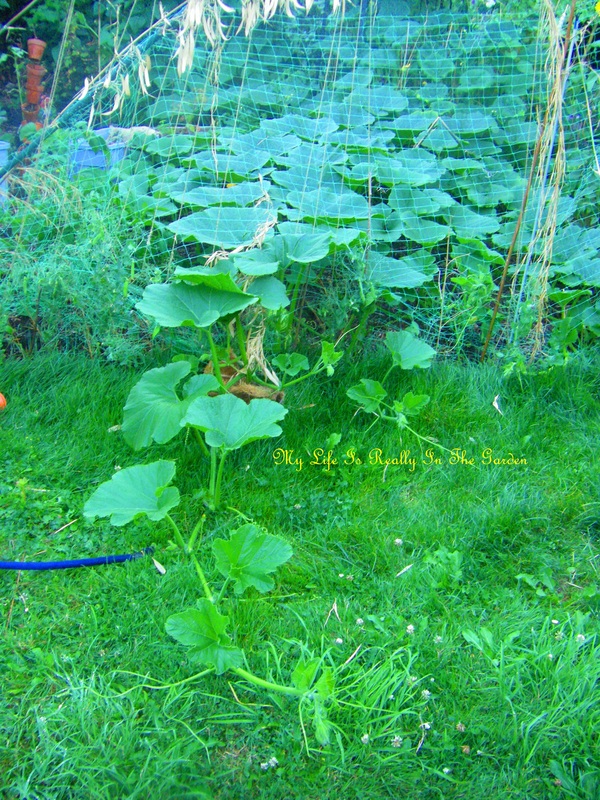 And my squash plants have gone crazy! I’ve planted 3 types so won’t be able to save the seed from this years crops .. but, hey, that is what Seedy Saturdays are for! These look like spaghetti squash, but I don’t think they are … pretty though. Labeling the plants would help! sigh. 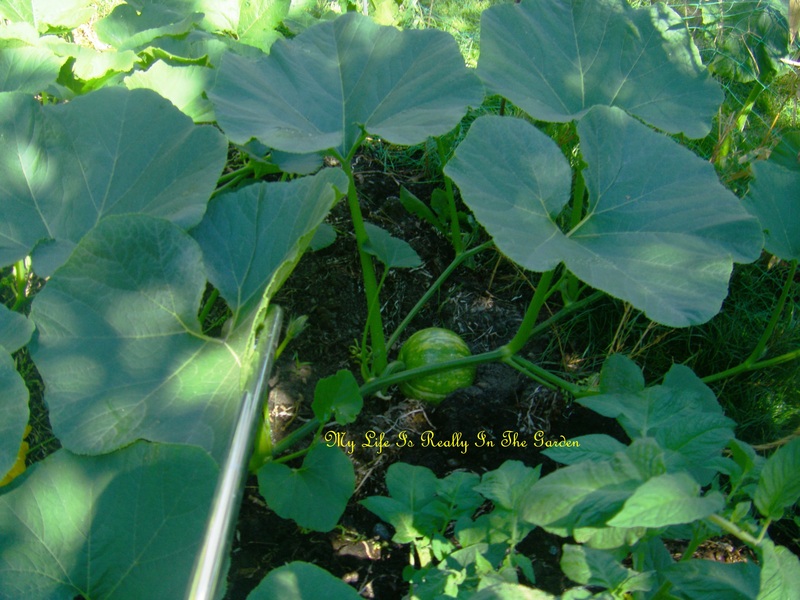 It feels like Christmas morning, going outside to check on the squash! Little hidden treasures on the ground. Here is a reason why I have difficulty turning some tomato plants around … squash has taken over! 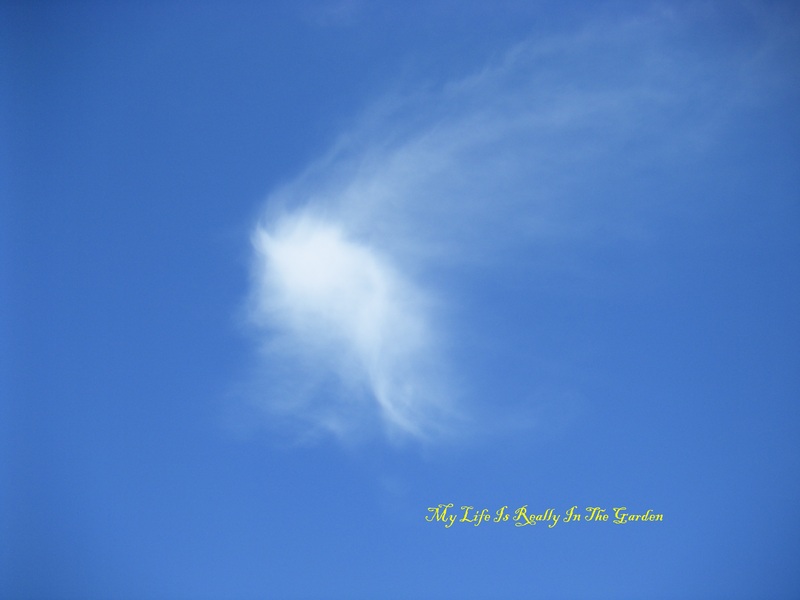 Quite literally – taken over .. growing onto the grass .. I made a makeshift area for the squash to grow … they seem to like this! 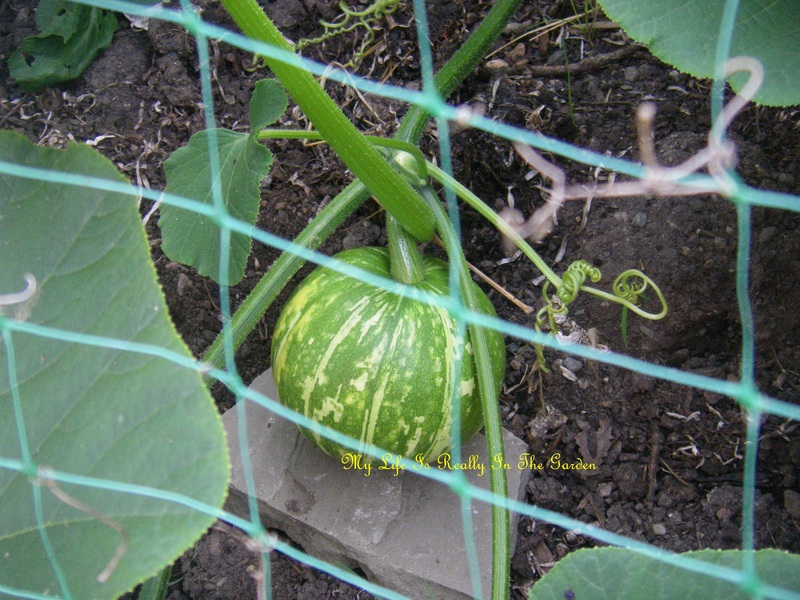 (next year, ahem, I’ll plan accordingly, in advance of planting the squash seeds!) The joys of gardening, the adventures! The discoveries! Plus .. happy memories to remember in the winter! I had filled Rubbermaid containers with water, to make it easier to nourish some plants that weren’t directly in the easy reach of the hose. 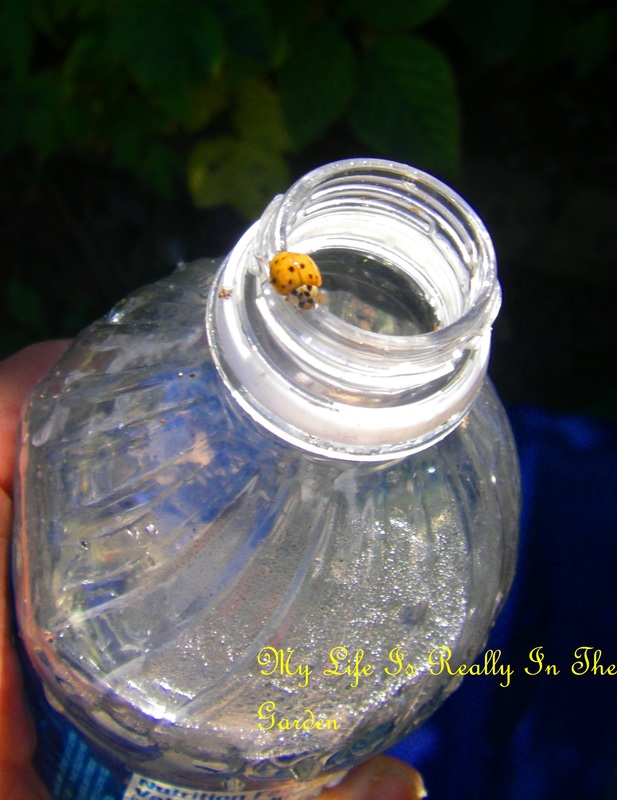 One day I found a ladybug vainly trying to swim in the water .. oh, silly ladybug, you are meant to fly, not swim! 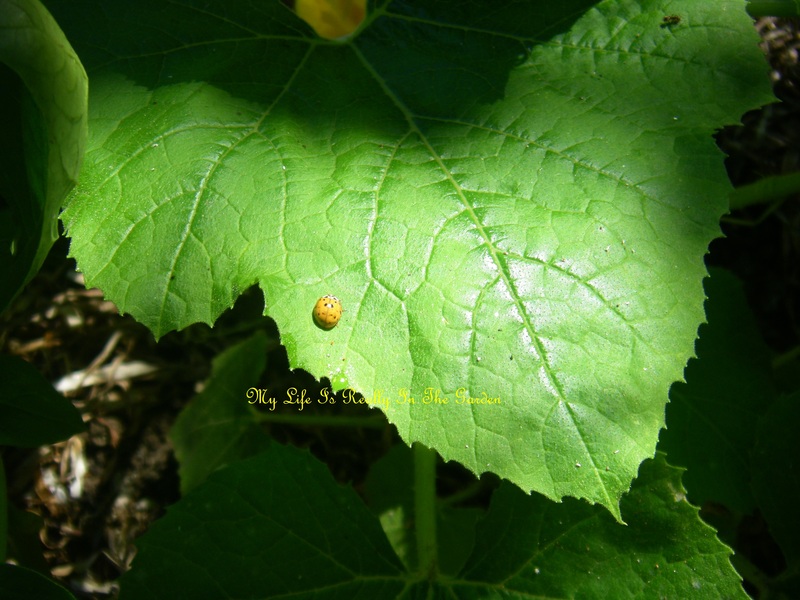 So I scooped her out .. see ..
And then I gently placed her on the leaf of a nearby .. yes! Squash leaf! They do come in handy for these types of rescues! 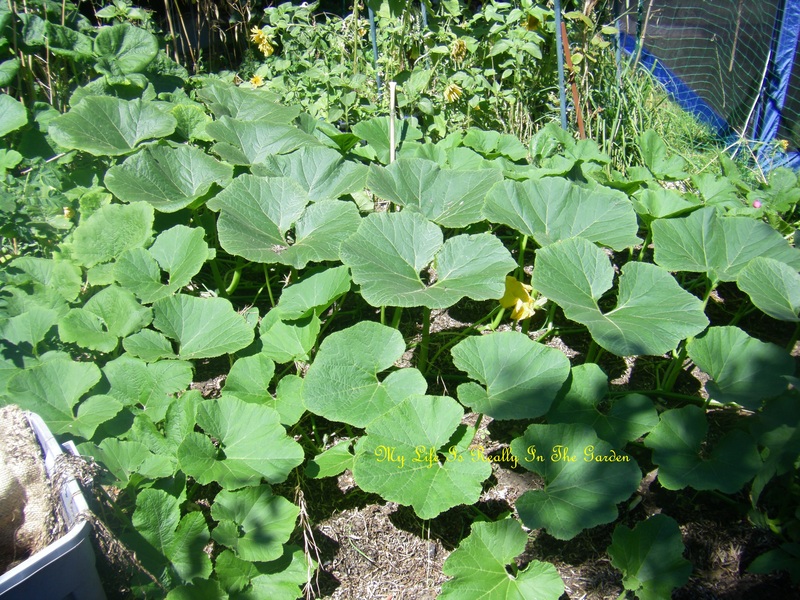 Hard to believe that this area was quite thickly planted with my lovely garlic … and now home to squash! 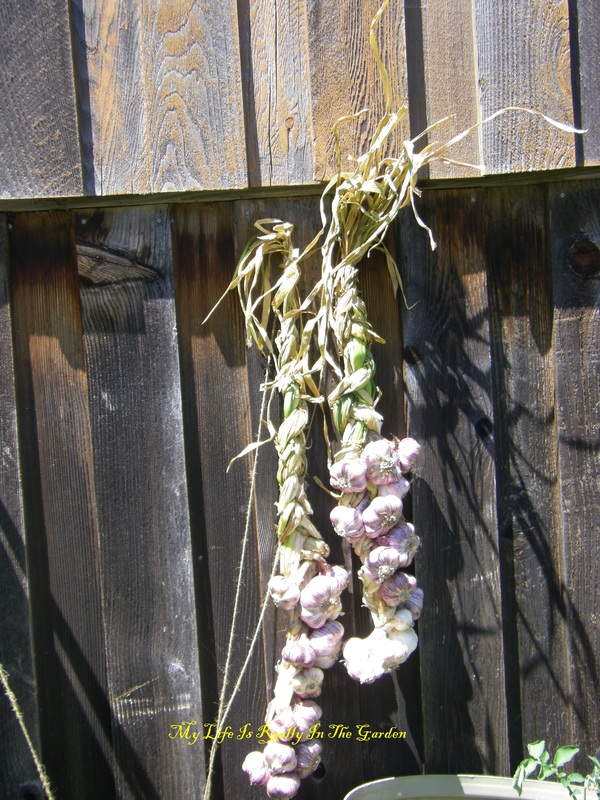 Happy memories of my garlic … time to plant again in a few months. Yum! 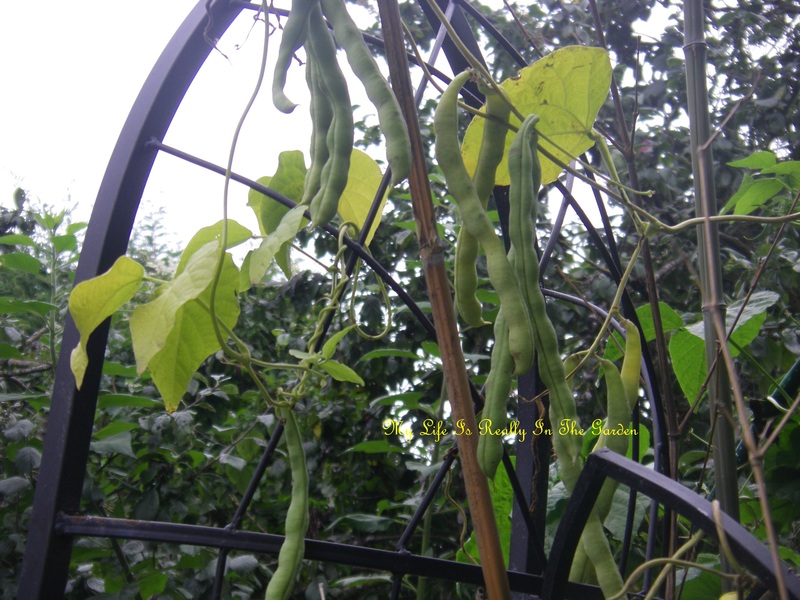 Kentucky Wonder Beans … although they grew rapidly up the lattice, I haven’t harvested many beans from these, planted in a container. Any excuse to stop and marvel at the magic of nature ..
I’ve lost the marker for this flower .. any idea of the name??? 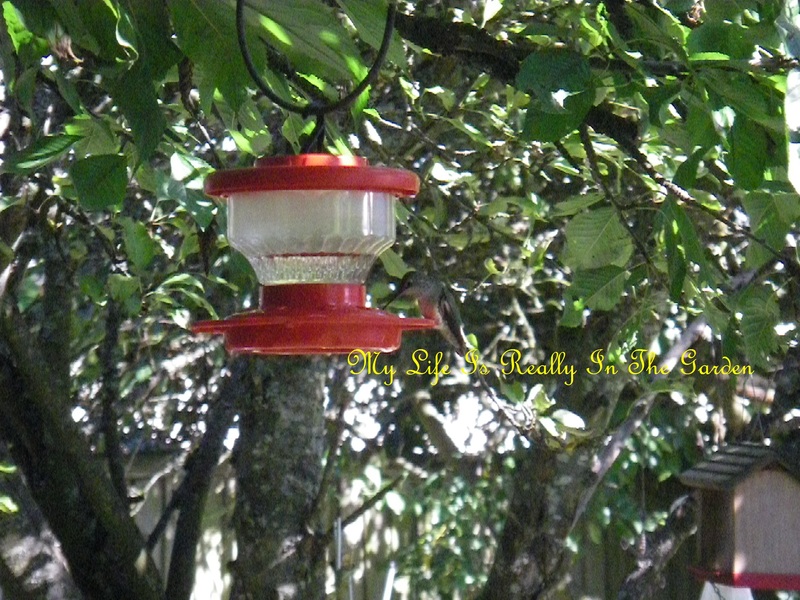 I bought it for the hummingbirds . 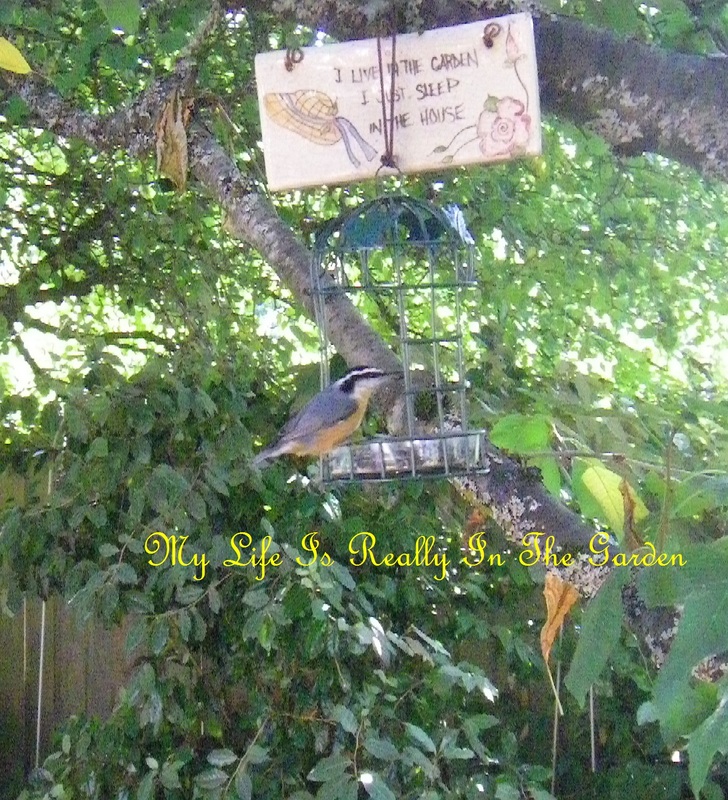 I bought 2 of these little feeders at the SPCA thrift store in Port Alberni weeks ago .. the Nuthatch approves! 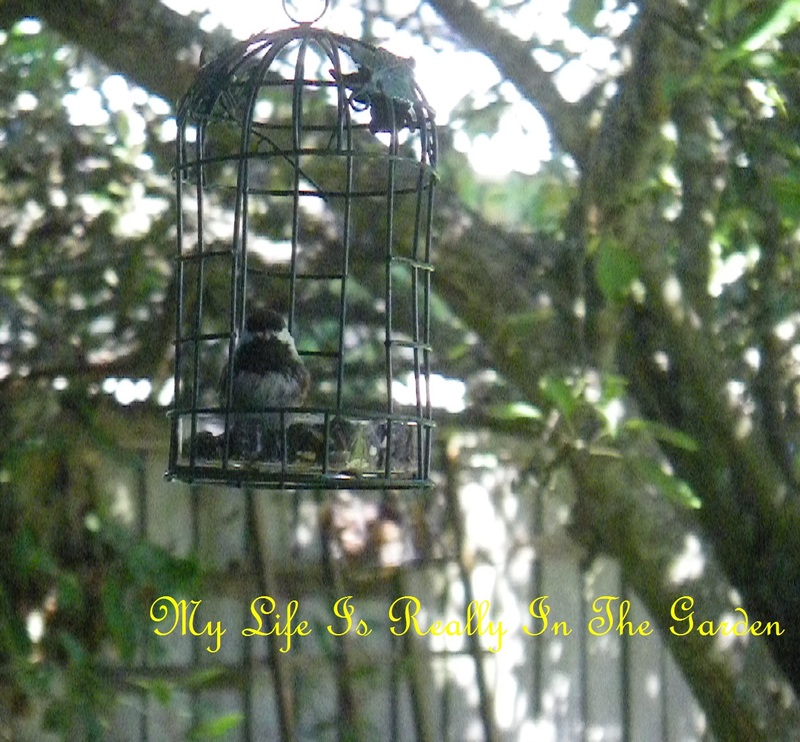 And this dear little Chickadee is happy also! 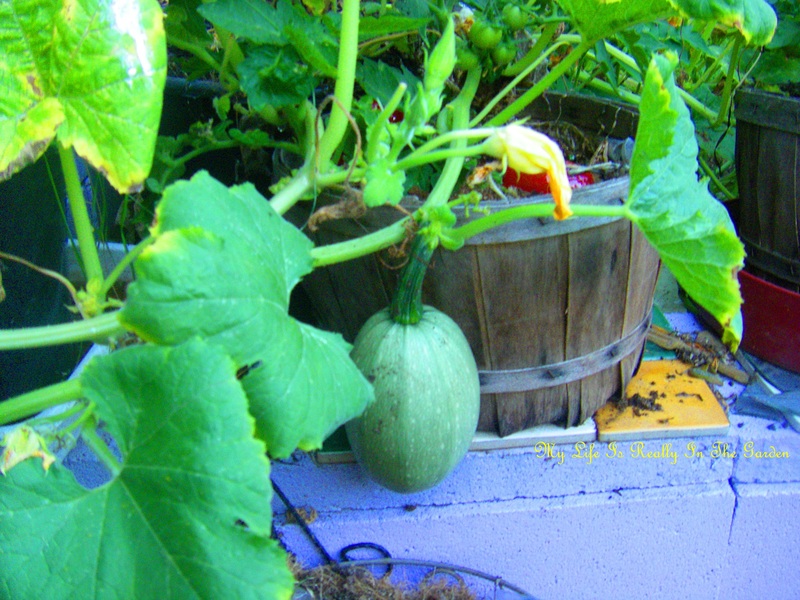 Categories: Gardening | Tags: Bean, food, Garden, Harvest, nature, Plant, plants, Rubbermaid, rubbermaid containers, Sowing, squash, squash plants, squash seeds, Tomato | Permalink. 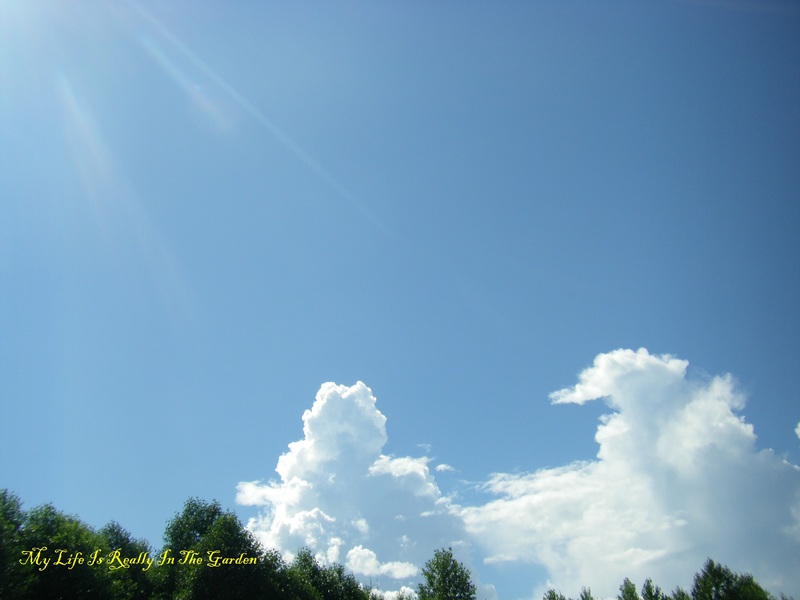 The hot sunny weather continues … these are the lovely long days of summer! Here’s a pic of my first attempts at braided garlic. As I went along, braiding rope after rope, I began to imagine how easy it would be to incorporate coloured ribbon, flowers, all sorts of things. That will be my goal for next year. For now, I’m happy with the rustic look. These will be gifts to friends .. and for me, a reminder of the summer. A complete day given up to sorting this years garlic crop. Hours spent, trimming the roots, brushing away the surplus soil. Sorting into sizes and beginning my attempts at braiding! A very happy day. Oh .. and I must select the largest cloves for planting this fall! 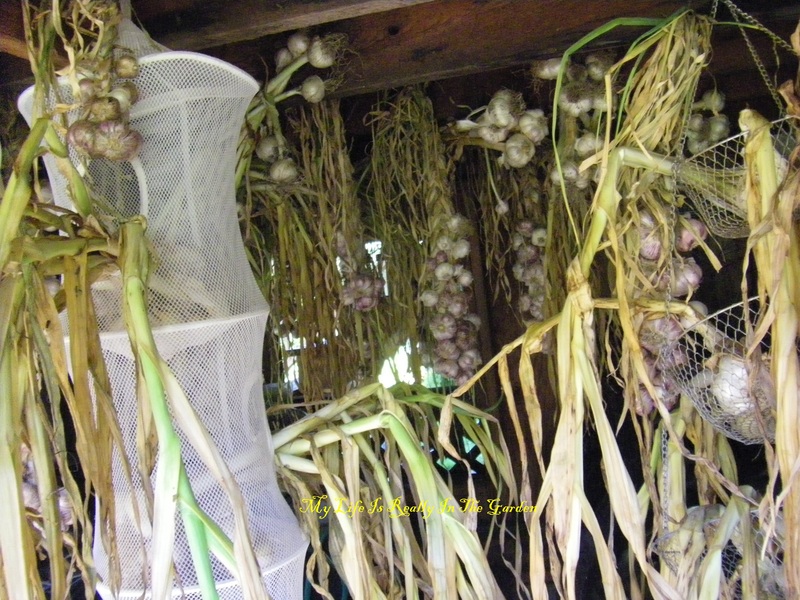 All the garlic is now braided or bunched and hanging to continue the drying. I stood there amongst the garlic … savoring the tranquility and enjoying the feeling of accomplishment. Oh, and I also dreamed a bit. Of moving to a place with more land so I could grow more garlic. 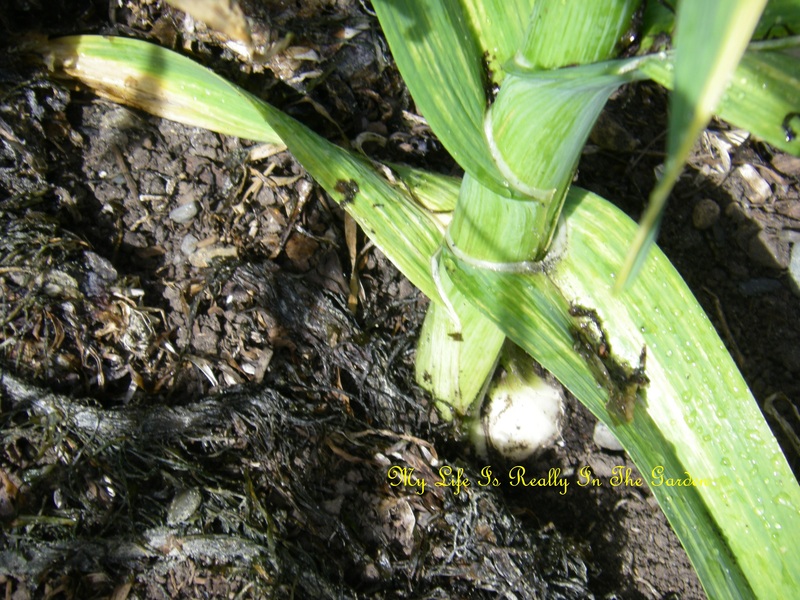 I’m also growing shallots, they are easy to grow .. so would like to plant more of that also. A gal has to have a dream, right? 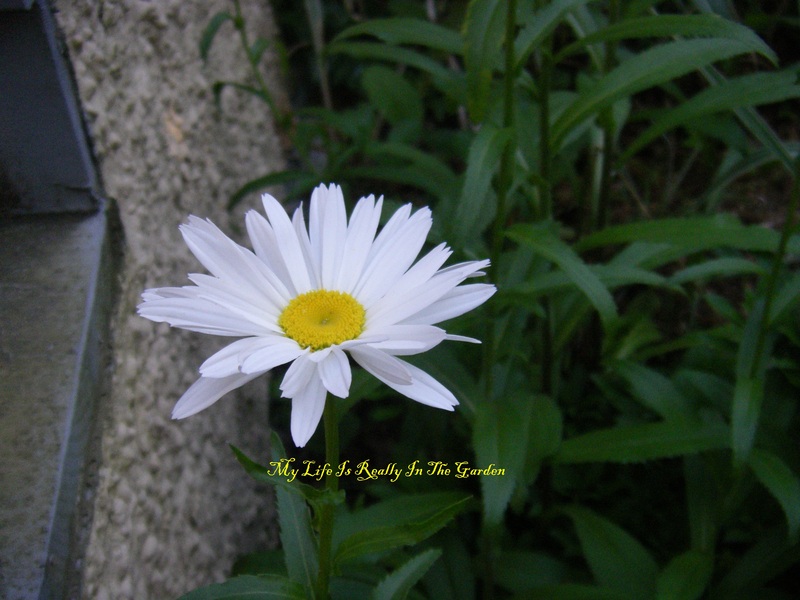 Shasta daisy .. a cheerful sight to behold in the front yard. Modest flowers, I don’t notice them growing away until they burst into flowers adding so much beauty . . asking for nothing in return, save a bit of water in order to grow. 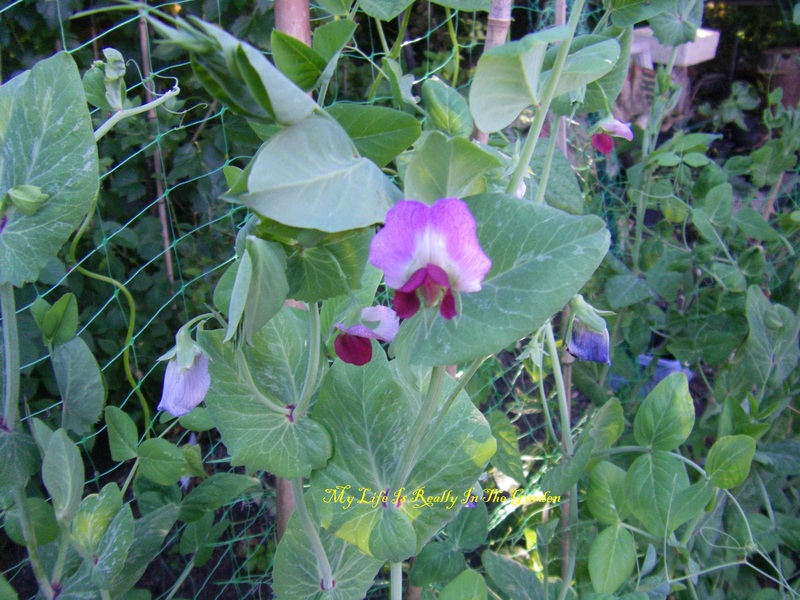 The edible peas are growing into giants and I harvest some daily. Still magical, isn’t it .. one little seed produces so much food. And such beauty. These vines have grown quite tall, over 6 feet in height. I’ll be saving some seeds for next year, you can bet! 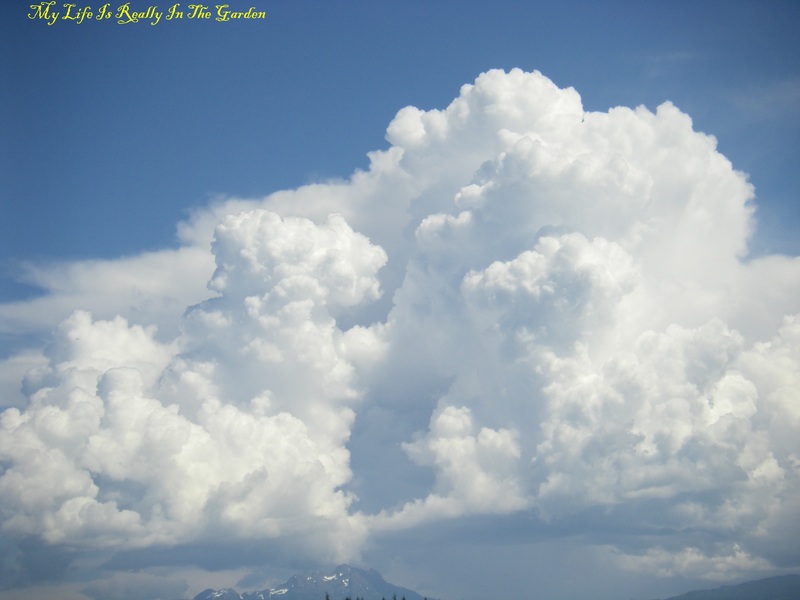 I love this sky .. reminds me of a giant bowl of clouds being stirred around ..
My favourite channel to tune into .. the sky … every changing and breathtaking .. 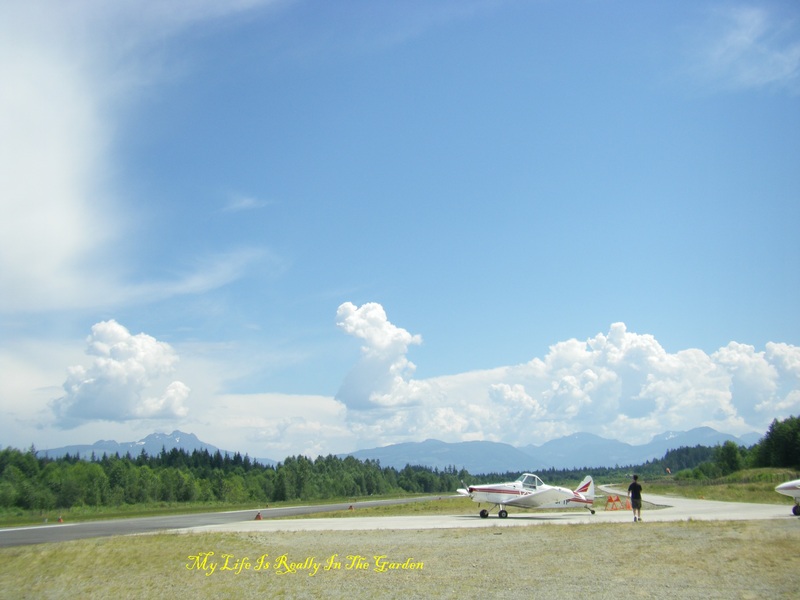 The Pawnee coming in for a landing .. it is the tow plane for the sailplane (glider). 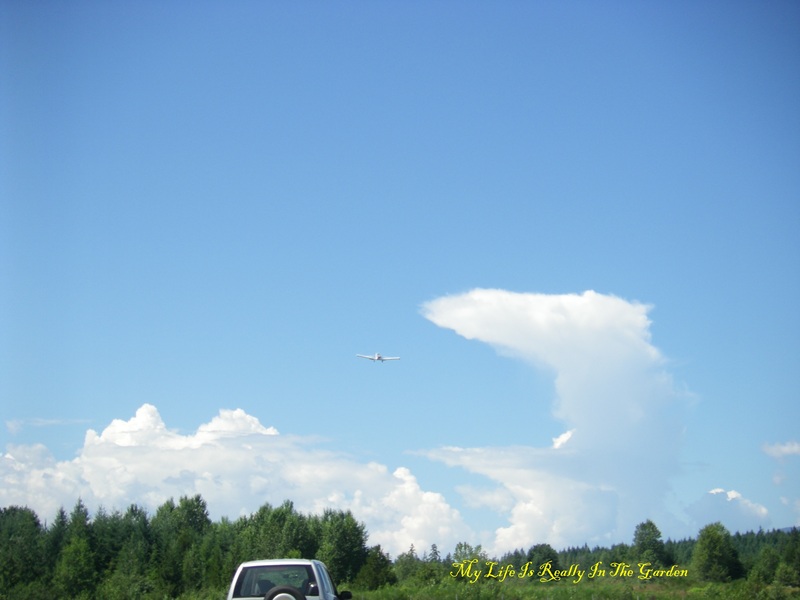 Having released the happy pilot & passenger way up in the blue skies .. it will land in a few seconds. Lovely plane. Formerly used for crop dusting, now it has a happier life towing sailplanes! The only thing that should be spread on crops is compost tea! 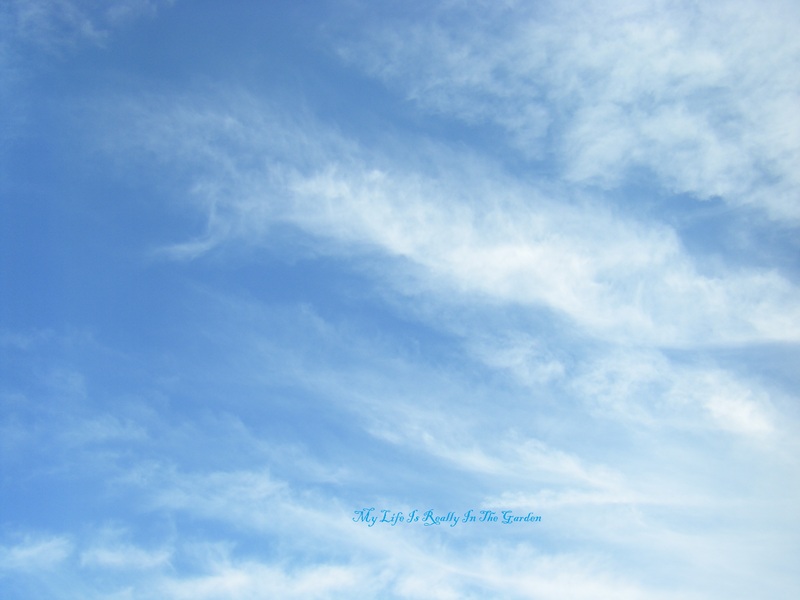 Ohhhhh .. a baby, wispy cloud.. how ethereal …sky art. Nothing cheers me up like the sky does. No matter what is happening down here .. there is always something beautiful to see up there. Not man-made .. just nature doing its thing! Yesterday I spent some time bracing up my bean crop. Using cut lengths of bamboo .. I made a makeshift frame and began running strings from the horizontal bamboo to tie onto the beans and peas to give them something to hold onto as they began their upward growth. 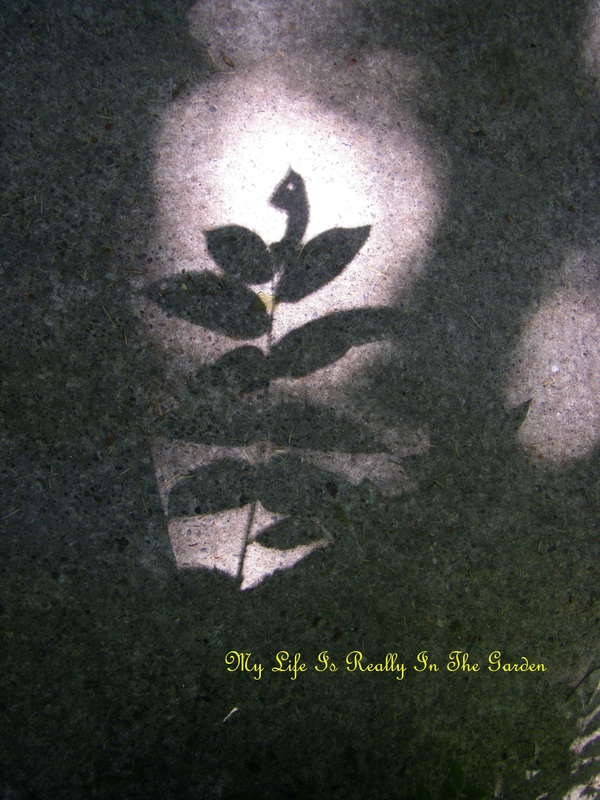 I was wearing my gardening outfit, muddy as usual and kneeling on the ground, focusing on ensuring that the string was snug when suddenly there was a flapping of tiny wings and a young sparrow landed on a length of bamboo that was just inches away from me. I think it got caught in the strings and then decided to cling to the bamboo to get its bearings. I scarcely dared to breathe and didn’t make any movements as we locked eyes .. Me looking at this tiny little innocent bird as it, in turn, stared, wide-eyed back at me. Complete silence for a brief moment of time. The little tiny feet couldn’t quite get a grip on the smooth surface of the bamboo and he twirled and swirled in graceful minute arcs, round and round. Quickly he flew away and I, just as quickly, added some yellow plastic ties to warn other winged creatures that the strings were there. 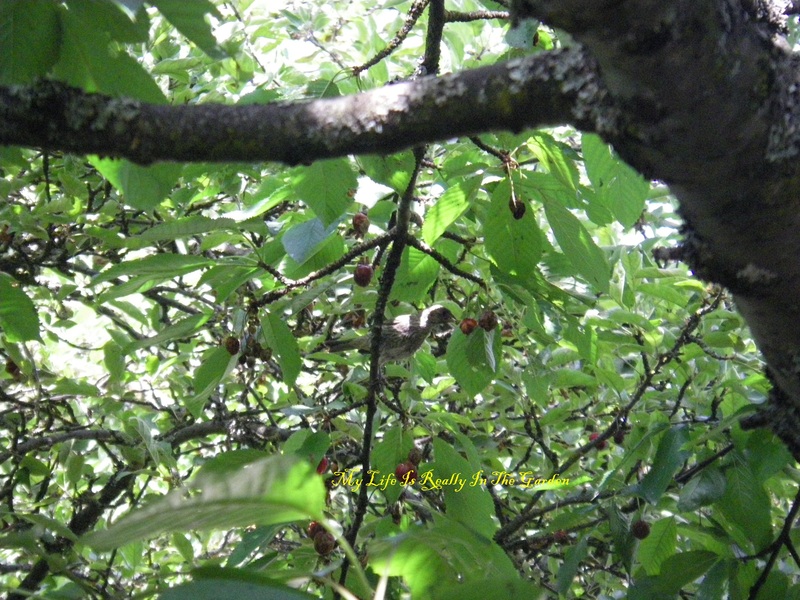 Later on I stood quietly watching birds in the cherry tree .. munching away .. and saw the same sparrow. It had to be the same one, as he continued to swing in circles around branches. A fledgling member of the Cirque du Soleil, perhaps? Honest to Pete, I had tried my best EM treatment with this Mexican Orange tree. It was one that I had neglected and it was really nothing but a stick with a few branches, nothing green whatsoever. I applied a liberal dose of EM about a month ago, but nothing happened. I was going to chop it up for composting, but, just hadn’t gotten around to it. Yesterday, moving things around in the back yard, I happened to see this strong new growth. It was one of those magical gardening moments and I just felt again the impact of the forcefulness of nature, the resilience of plants (and the power of EM). This was awesome and in so many ways it was a sign of encouragement and of not giving up. Truly an inspirational moment and humbling at the same time. A mini-miracle that gave me such joy. 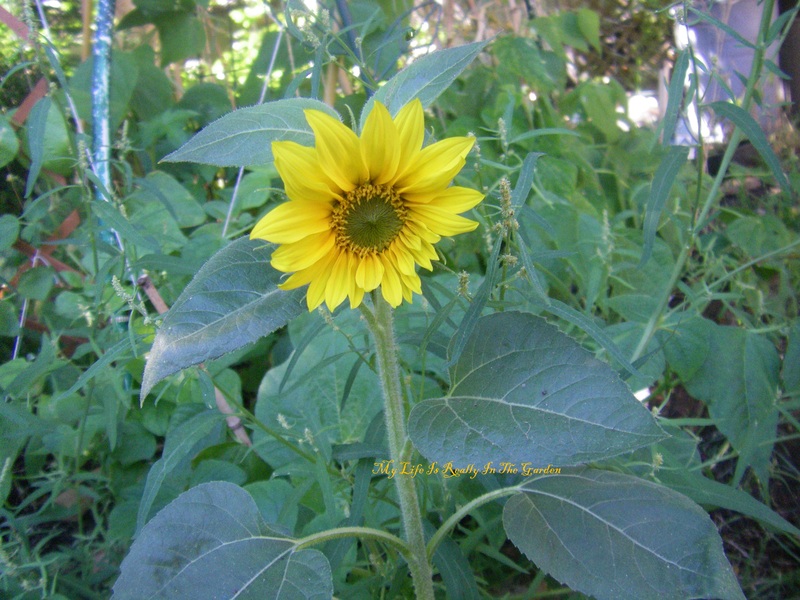 And affirmed once again the positive power that we all discover in the garden. Categories: Gardening | Tags: Aviation, Braid, food, Garden, Garlic, Plant, plants, Produce, Sowing | Permalink. I’ve slowly begun to be sort of active and getting things done lately, not much, mind you .. but some. And as things just build on themselves, without really trying – I’m sure that I’ll be back to my busy whirling dervish kind of person again. Although I’m not a super big Christmas and New Year celebration kind of person … I did find myself getting swept up into the spirit of things. And grew to really love shopping .. just to be out in the friendly shopping malls in town and perhaps a visit or two downtown. Energizing to speak with fellow shoppers. See the joy in other’s faces. And sometimes the sadness. There is always lots of both out in the world. Years ago I’d decided to feel the joy of Christmas every day of the year so that it wouldn’t feel as if the happy holiday energy wouldn’t suddenly disappear after a few days .. but would stay with me. And it has. Although I must admit to loving the atmosphere of Christmas. The delicious foods (shortbread, Christmas pudding, a little fruit cake) rum and nog, perhaps a fancy drink or two. Visiting with friends. Snuggling with my DH .. that’s my very favourite. Thus far in the New Year .. I decide to get back into exercising .. and I’ve done that with my lovely daily walks. Walking everywhere and mostly ending up at Swan Lake …quite often. There are other beautiful places to be in town .. but this is the closest and besides I love seeing the birds of all types. And back to decluttering. Spent a bit of time yesterday sorting out books to donate to the blue box (reading program) and have about 100 (yes, that many!!) neatly placed in bags and boxes to take over tomorrow. Those are fictions books, including some videos and music cd’s. And I need to cull my gardening book collection .. but not today. So yesterday, after doing all that .. 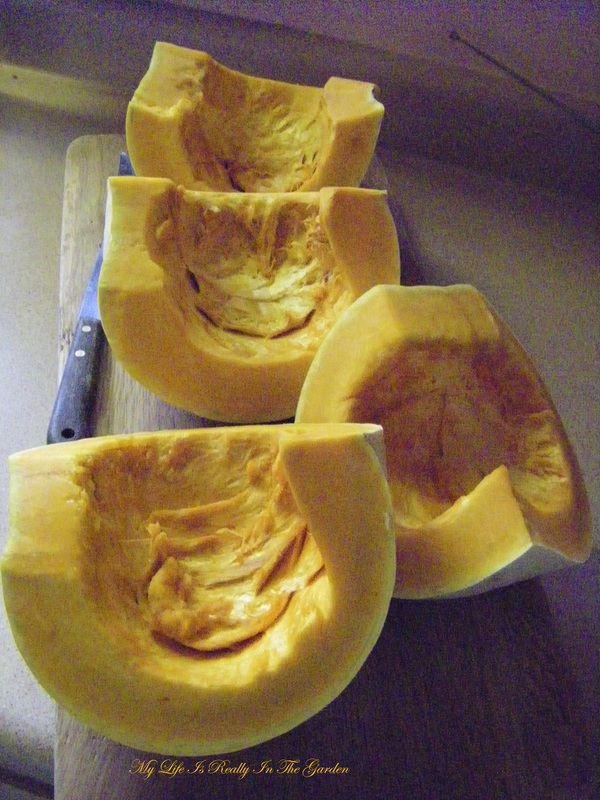 I decided that it was high time to cut up my wonderful crop of (one) Luminara pumpkin. But first, I have to ensure that this is non-GM .. so spent some time searching and found that it is not. Although I still have the plant tab that came with the plant “somewhere” in my gardening stash .. so will double-check on the ‘net once I have that little item. I’m not knowledgeable about pumpkins and only found out this year (blush) that there are more varieties than the normal orange Jack-o-Lantern! Months ago, I’d chosen a curry vegetable stew at a local restaurant which contained rich orange pumpkin .. and thus I entered the world of pumpkin land! So you can see that I was quite happy when I cut up my treasured pumpkin and discovered that the fruit was a rich orange colour! Then I spent awhile looking up recipes for curry pumpkin stew .. and there are quite a few. I didn’t have all the ingredients, so I ended up making up my own recipe! I steamed 2 of the large sections in a covered roasting pan …. 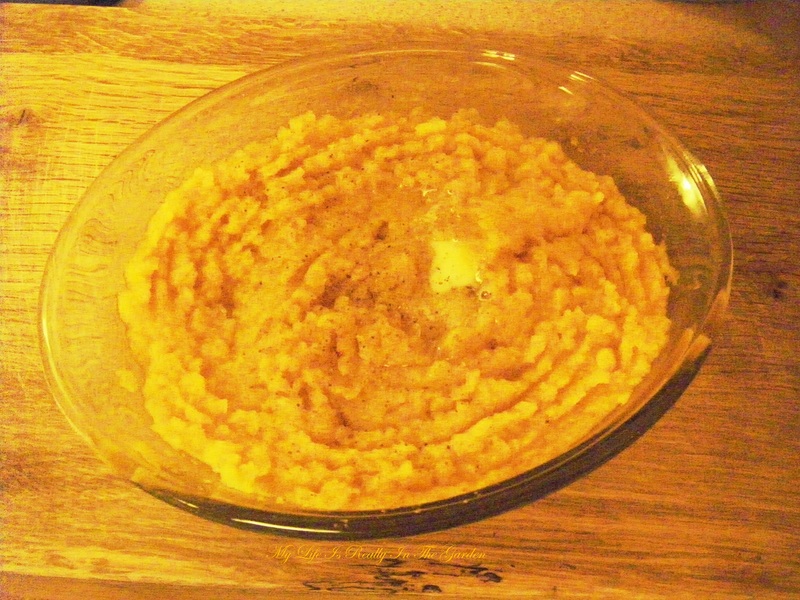 later scooped all the lovely pulp into a bowl. Added some butter on top and a light sprinkle of pepper! Now .. this looked so delicious that I had to put some in a little bowl for tasting. oh .. my .. this was just ambrosia and tasted like sweet potato! I managed to freeze most of this to add to a future soup. The rest of the pumpkin .. well .. I cut it into cubes. Along with cubed sweet potatoes. They really looked pretty and I wish I’d taken more photos so I could share in my culinary boasting .. but ended up being so busy, measuring, and all that .. so it completely slipped my mind. Chopped up onion & garlic (of which I have quite a bit of!) and swirled them in a soup pot with some olive oil. Added the pumpkin, sweet potato, curry powder, sea salt, freshly ground pepper. Organic chicken broth & a tin of crushed tomatoes. Cooked for a while ….. tasted .. and another wonderful dish was born! Yum. Some for the freezer and some in the fridge for lunches. 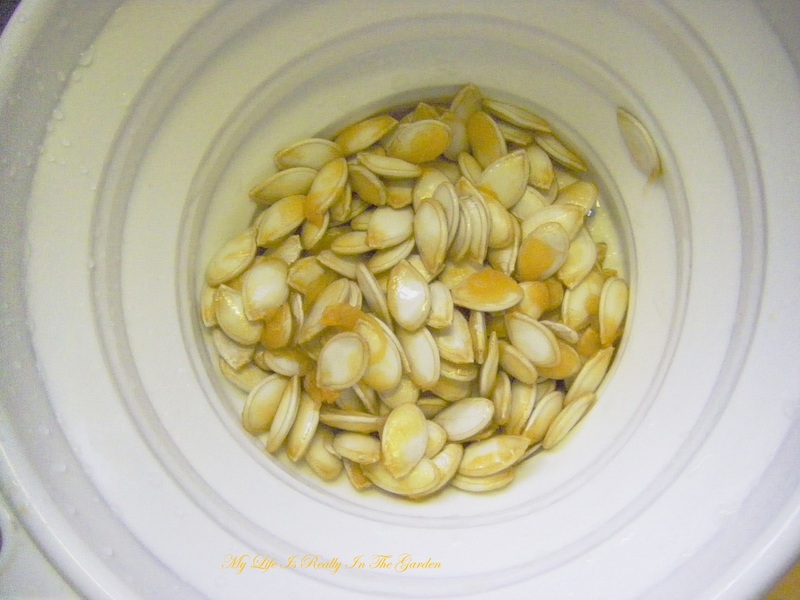 Removed the pumpkin fruit from them …. patted them dry .. and now they are drying in a dish. Many many seeds! 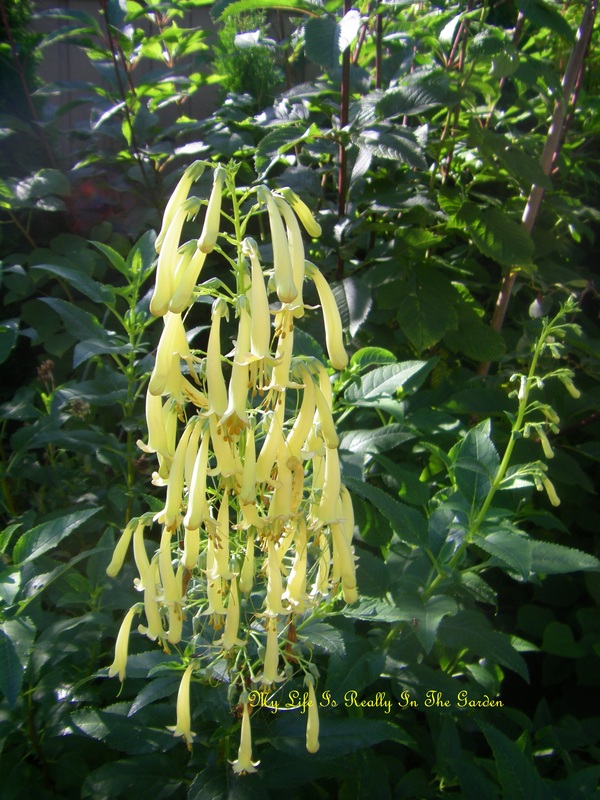 Lots for me to grow this summer, share with friends and perhaps donate at Seedy Saturday. Finally, clean-up time. Lots of materials for composting. Tired .. but happy .. a great way to end another wonderful day! Categories: Gardening | Tags: Christmas, fellow shoppers, food, Fruit and Vegetable, holiday energy, new year celebration, Olive oil, Pumpkin, restaurants, Sweet potato, whirling dervish | Permalink. Well, it was another seaweed-y kind of day, with some shopping thrown in .. all on a rainy day! D and I chose yesterday as the “day in the week” for our weekly adventuring. The weather was predicted to be dry and perhaps a little sunny. So we weren’t totally surprised to see the pouring rains. 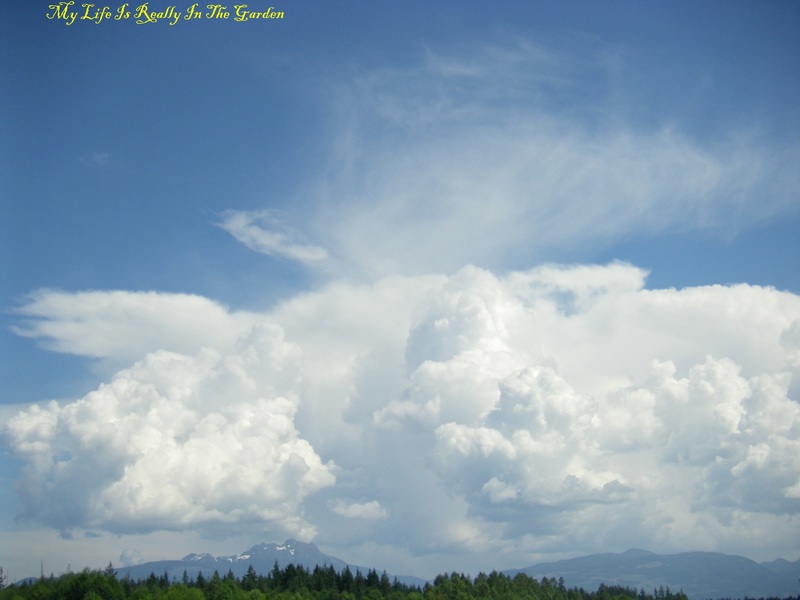 Due to the proximity of the mountains in this part of the world, the weather predictions just aren’t always reliable ..but we are used to that. This time of the year, it’s normal to carry an umbrella and sunglasses, to cover all bases. 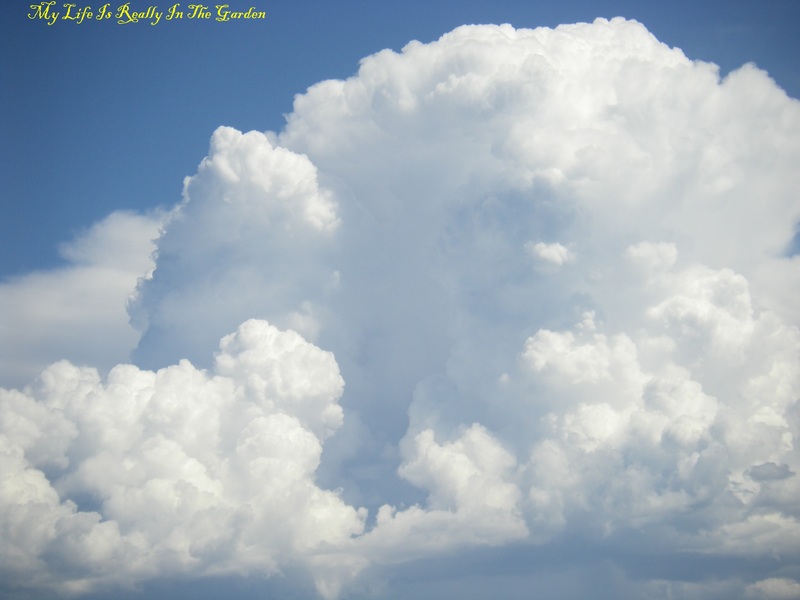 We pondered over whether we should travel today or not .. and decided to continue …. the rains would probably stop at some point. As we drove to our first destination .. amidst the steady, downpour of rain, windshield wipers efficiently working away to keep the glass nice and clear for good visibility… we chatted about this and that .. commenting on the weather .. and why the heck there was a steady line of traffic heading towards Victoria and away from Sooke. Normally, early mid-morning, traffic is very light. 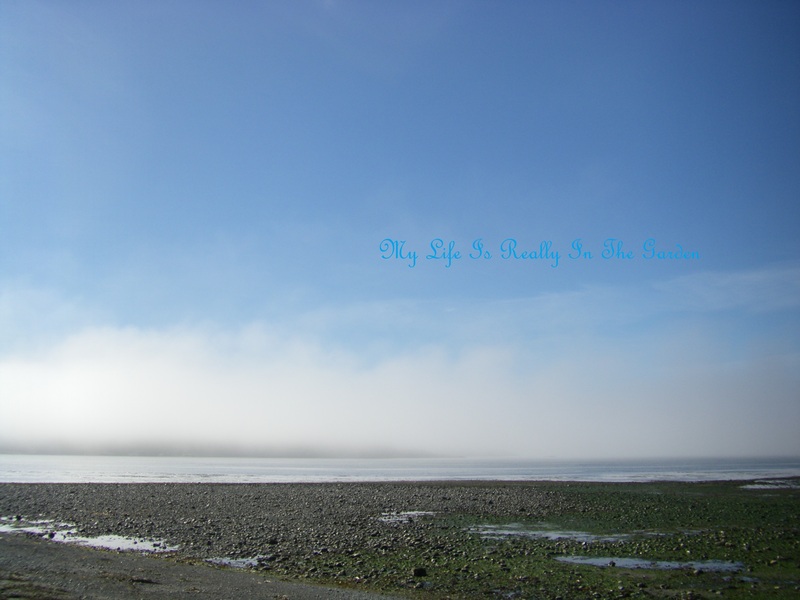 Hmmm .. perhaps dwellers of Sooke were travelling to the big city for Christmas shopping and we were going there …. So .. our agenda consisted of shopping .. to the delightful Lighthouse Bakery in Langford … I bought the most delicious assortment of cake squares .. a lovely mix of Nanaimo Bars, Langford Bars and some lemon square. Delicious and such reasonable prices, I couldn’t make them for the price they charge. 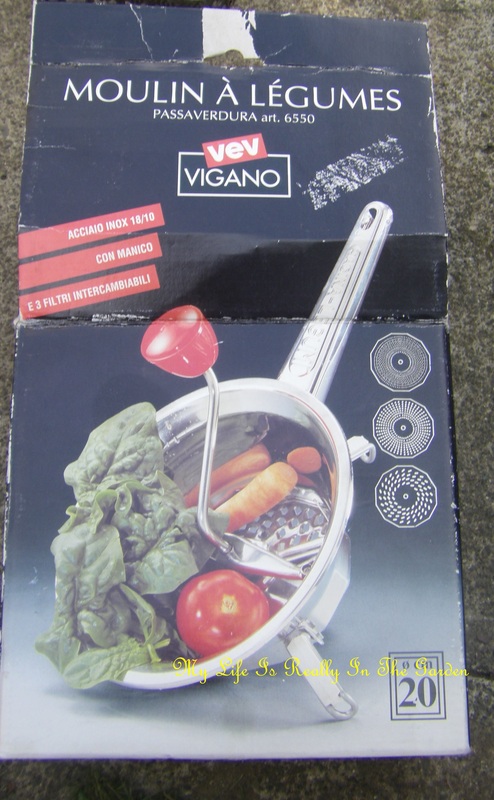 There seems to be a trend of items from the 60’s available now .. and so we have lots to choose from. Including delightful Christmas wrapping paper from that era. I did pick up a package .. but will I use it or save it? I think that first I will take a photo, to preserve the look .. and then .. I will use the paper. It’s been saved long enough .. time to get out there and let everyone admire the beauty. Then on to Glenwood Meats … local product .. support the Island businesses, we say. What else did we find ? Oh, the most absolutely wonderful capacious travel bag .. brand new … with “mots en francais, partout” .. .I’ll take a picture of that and will share tomorrow. As I’ve said before, D has a special talent for unearthing the most amazing treasures when we go shopping. This bag had been sort of hidden away and she unearthed it! Could it be any more perfect for transporting my soaps .. in a grand and stylish way! Oh, we gathered such wonderful treats. And I found an unusual SPCA zipped bag .. just had to get that and I’ll share that tomorrow also. Time for a wee break … once all of our shopping was done .. and away to our favourite bakery for a little bit of soup and a beverage .. the Little Vienna Bakery!!! I wonder …. if I were, perhaps, a little taller .. would I have been tempted to see if I could tastefully remove this delicious cookie for a taste test? Finally … time to visit the beach to gather up some of the lovely chopped seaweed .. for the garden. Sun would be setting fairly soon .. so we had a timeline. And together we gathered up quite a bit in a very short time. Yea … my garden is going to be so happy and healthy. And .. guess what!!! 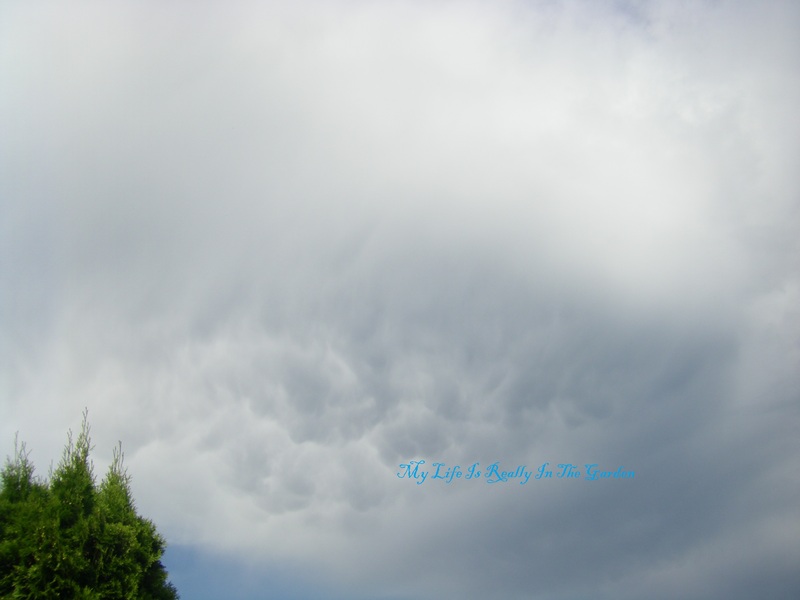 The rains had stopped pouring down by this time .. we were so lucky!! Our timing was right on! Yea!!! The tide was coming in so we had to work fast. The sounds of the waves got louder and louder and we swiftly glanced at the incoming waves as we scooped up the seaweed potpourri .. Some ducks flew by overhead and I quickly snapped a picture .. can you see them .. among the branches? Oh, the massive amounts of seaweed lying there on the beach .. quite an impressive sight .. so close, and yet so far .. with the waves washing in … no way was I going to brave the power of the ocean .. tempting as it was ..
And then .. along comes someone who savours the power of the waves … as a sort of open highway for his board ..
And soon he was paddling away .. nice way to end the work day, what! And we on shore looked down at the quickly disappearing beach .. adieu … until another day ..
Driving home, tired and happy .. we discussed our purchases and couldn’t recall exactly all of the things that we chose .. so that just adds to the surprise later. Like a practice Christmas morning! The car smelled deliciously of the ocean …. as we had quite a few netted bags of chopped seaweed in the back of the car. Spread over top of these were our new purchases .. here and there! So .. D back home to prepare supper for her family .. and I made my way home … DH is working so I can quickly unload the seaweed to the back yard and transport my treasures to the kitchen for a quick scrub and dry .. before putting them all away. I’ll show him what I’ve brought home … later …. he is quite appreciative of my frugal purchases. And, if I don’t show him all of the things .. well .. ummm … some are supplies for my soap making .. so I’m quite sure he wouldn’t be interested in those things, right now, anyway. I know that I need to be decluttering like crazy .. but for now .. in this time before Christmas … I will just accumulate just a few more things. I can always pass them along, can’t I? And the fun that D and I have on our shopping trips is just priceless. We both appreciate the quality of items from times gone by. Not for the monetary value but always for the beauty, the care taken of the objects by their former owners. And we both respect the value of that energy. And pass it along. The items that we purchase are things that were actually made by people who cared .. therein lies the beauty. Categories: Gardening | Tags: cars, Christmas, Christmas and holiday season, Christmas decoration, food, Holiday, Nanaimo bar, outdoors, restaurants, Shopping cart, Victoria, Vienna | Permalink.